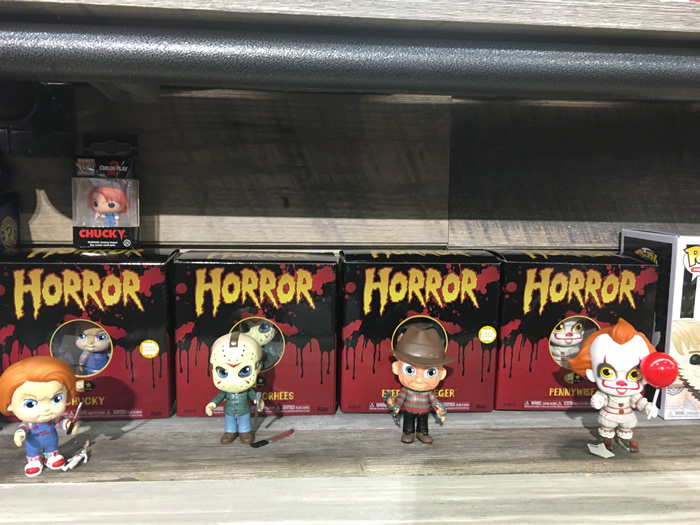 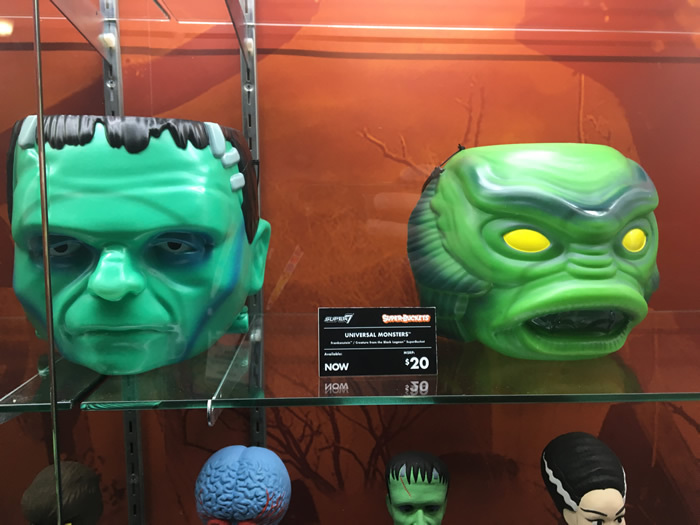 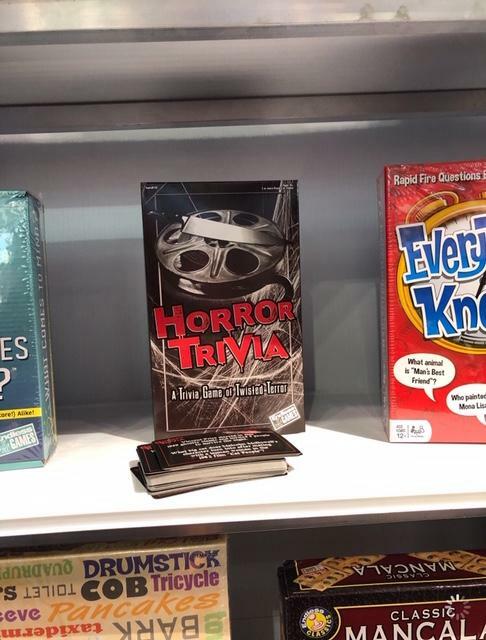 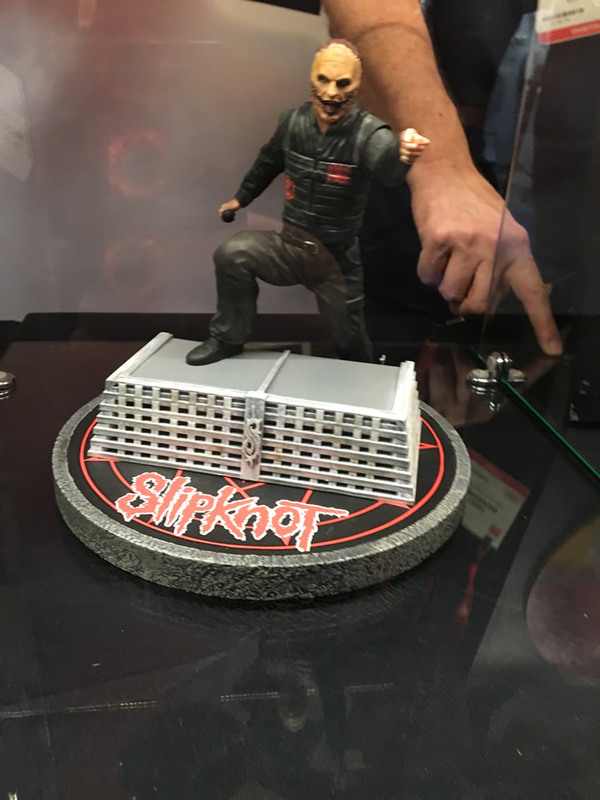 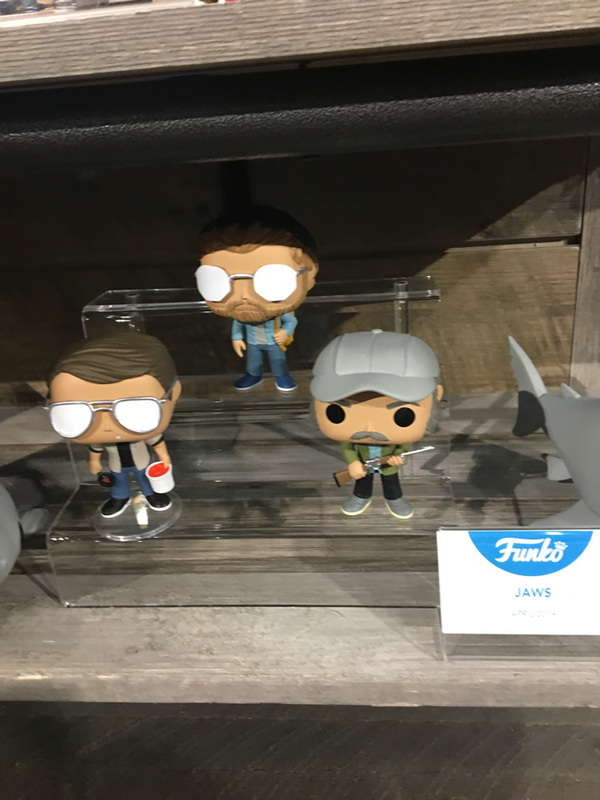 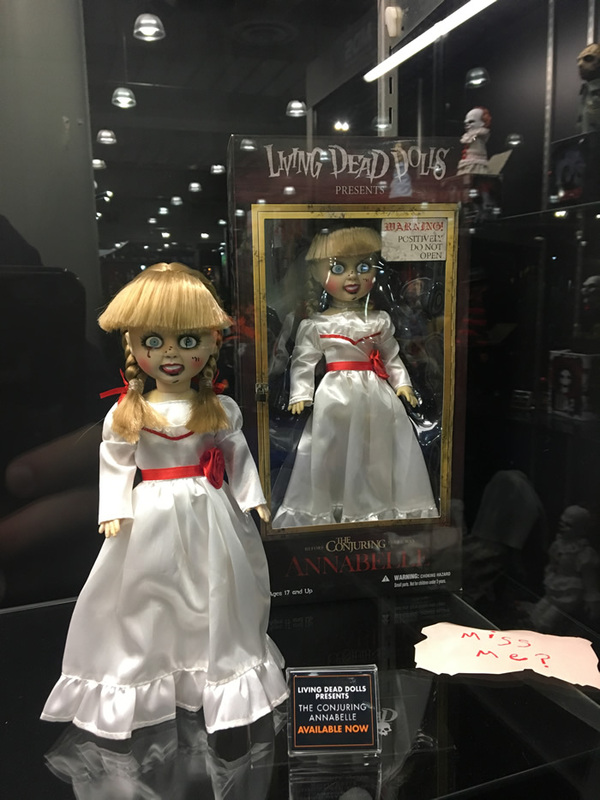 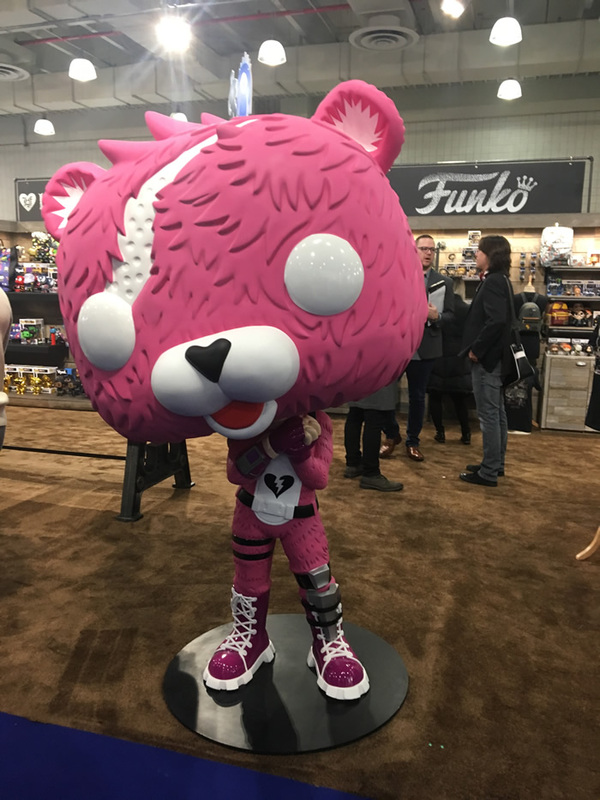 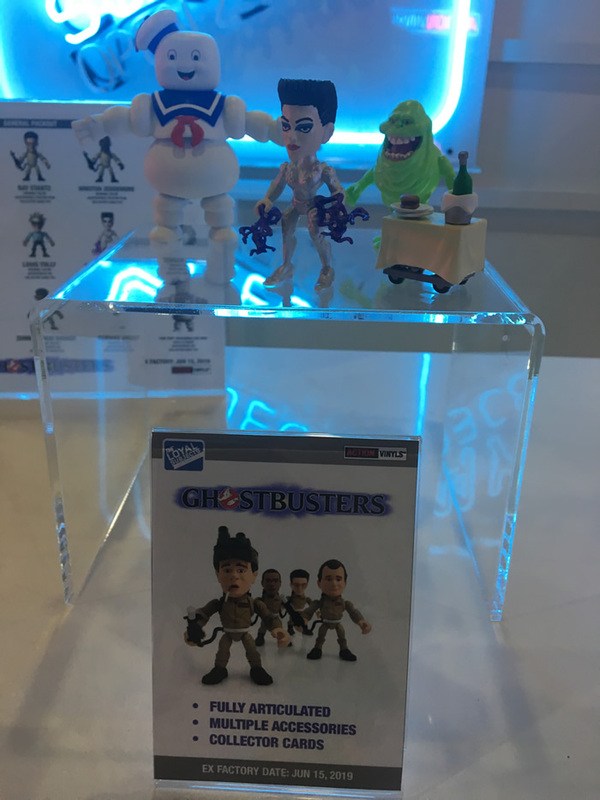 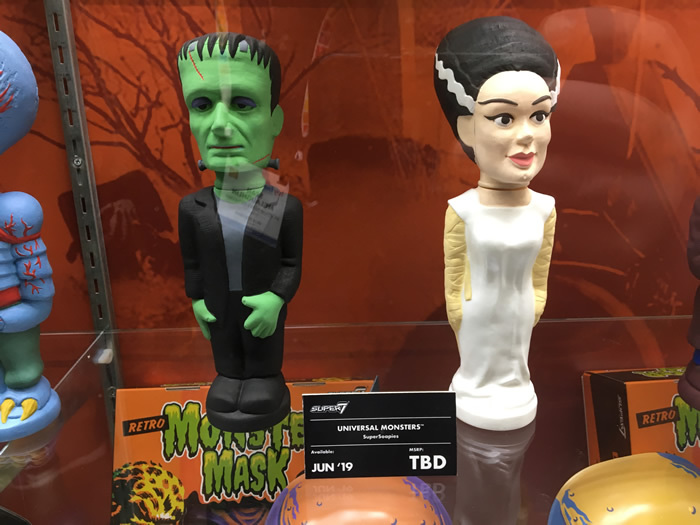 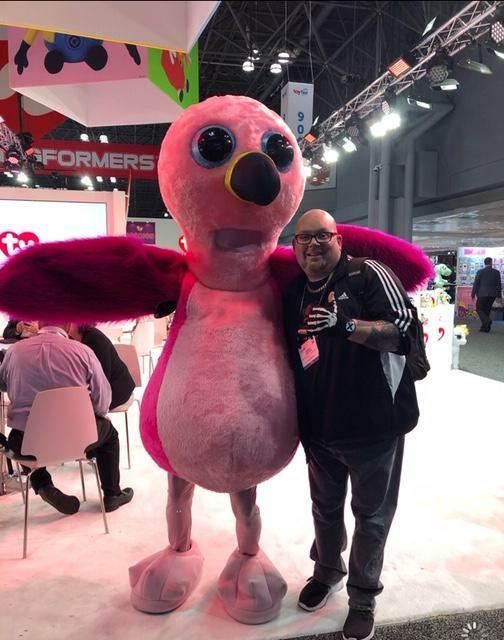 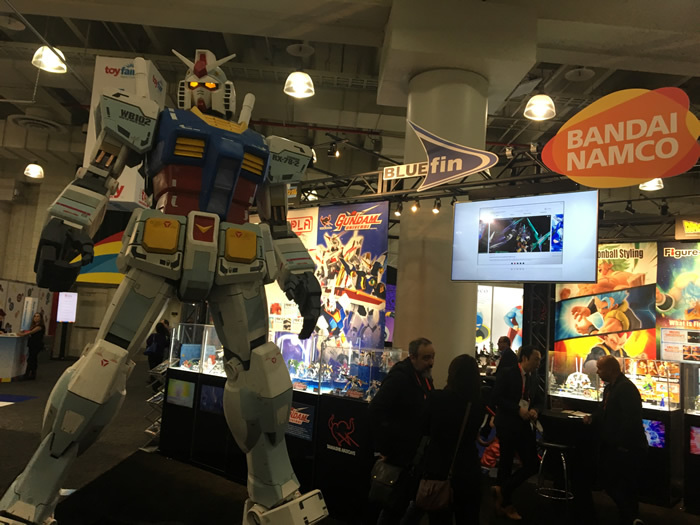 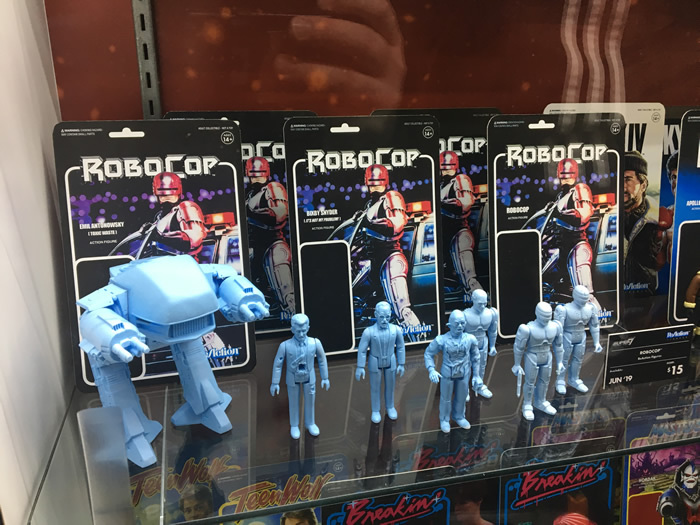 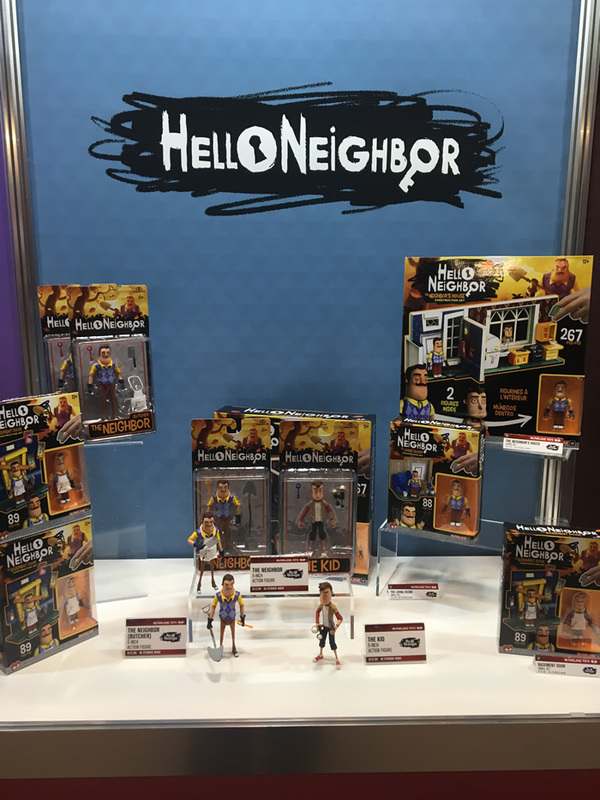 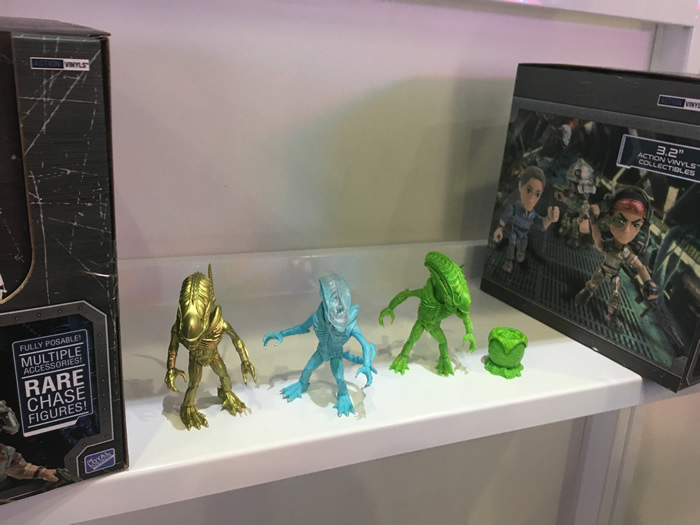 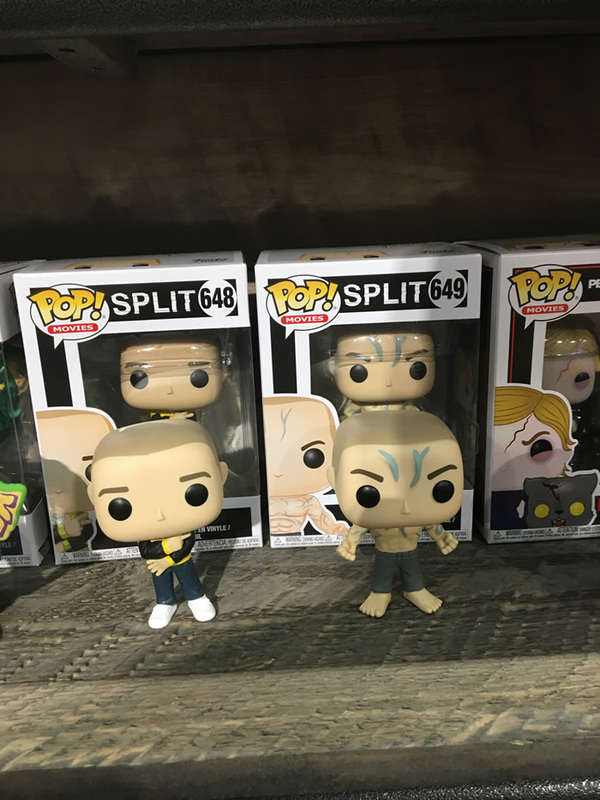 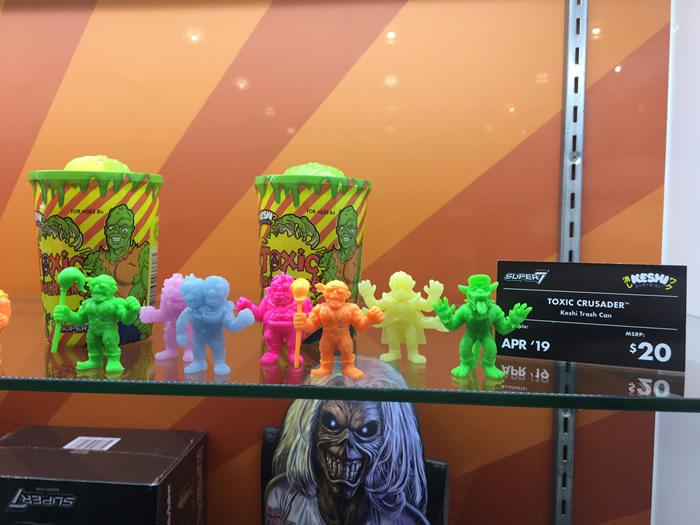 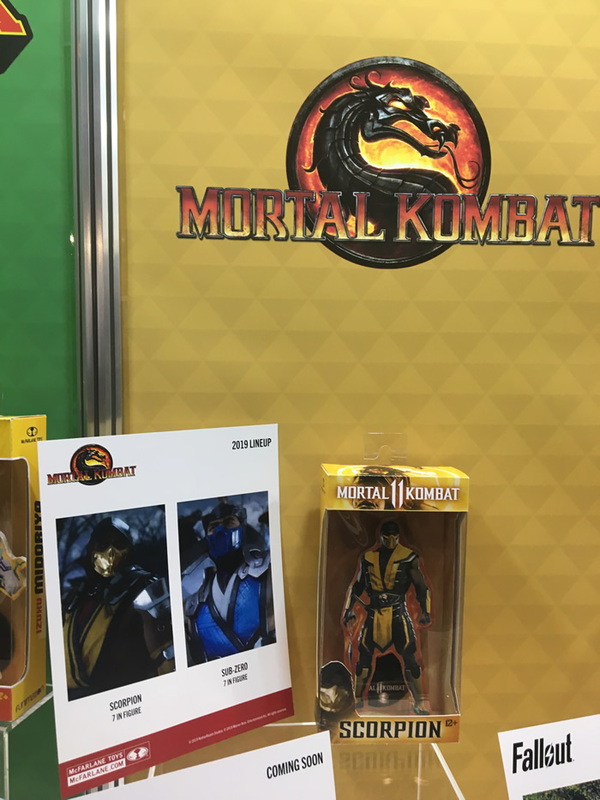 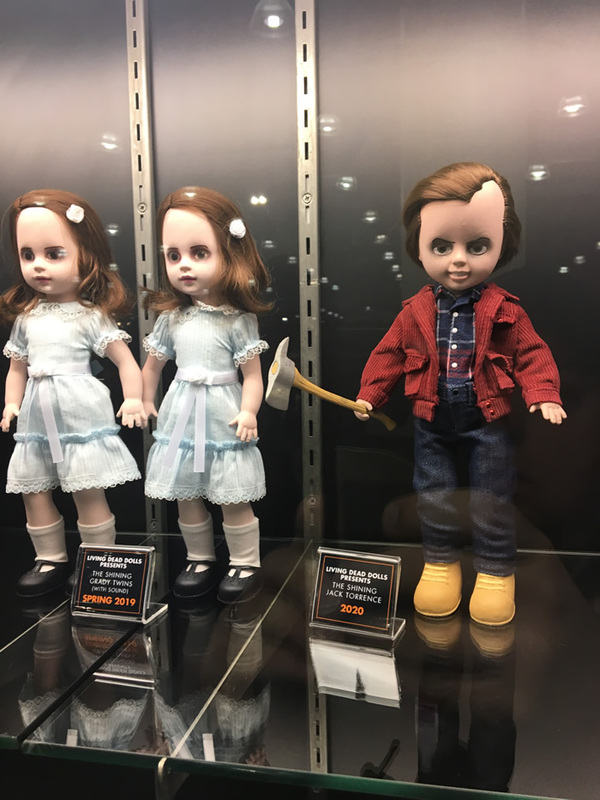 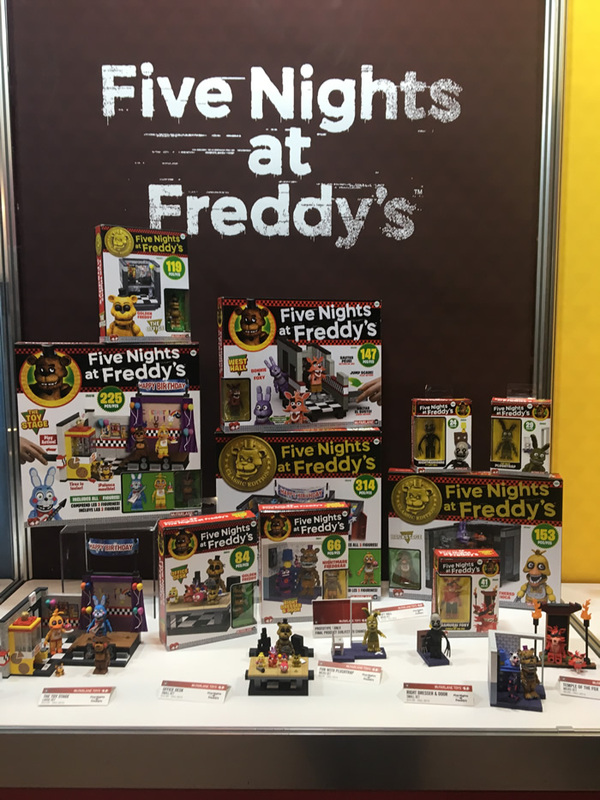 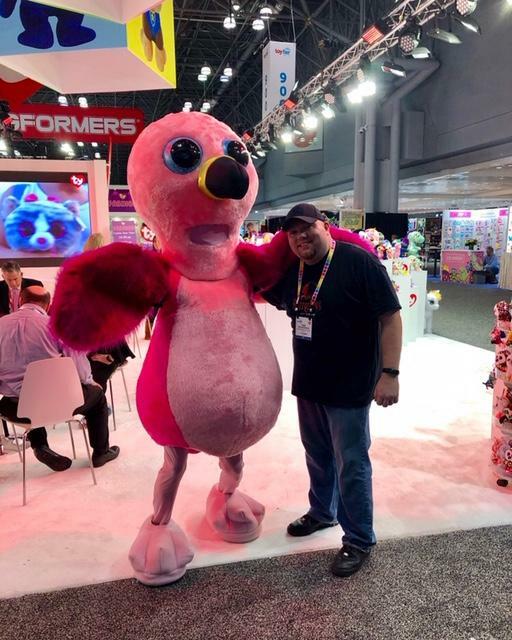 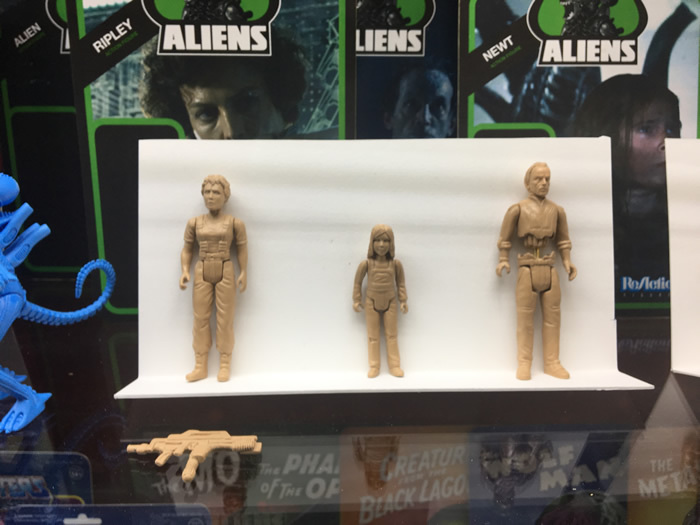 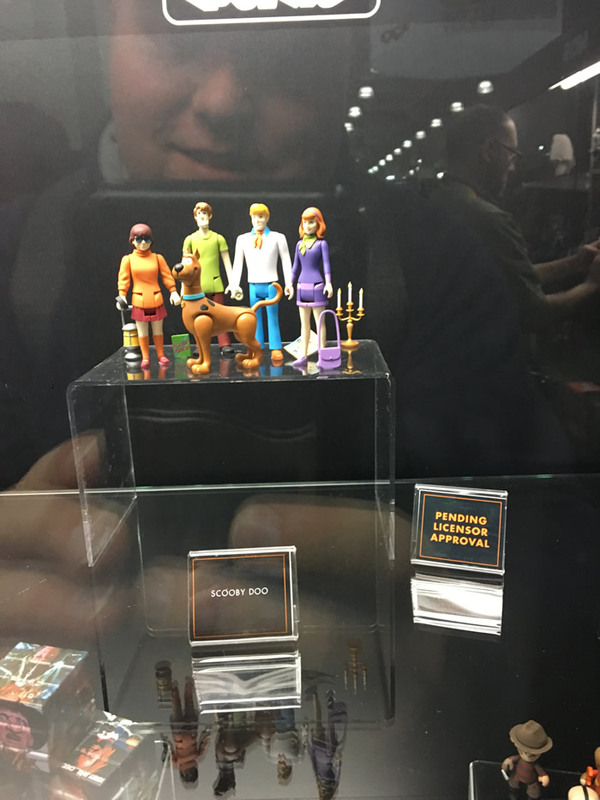 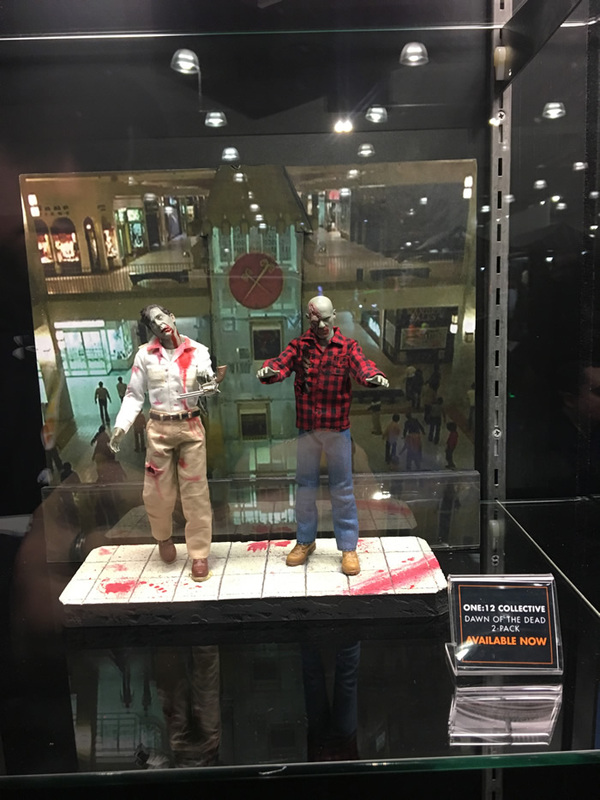 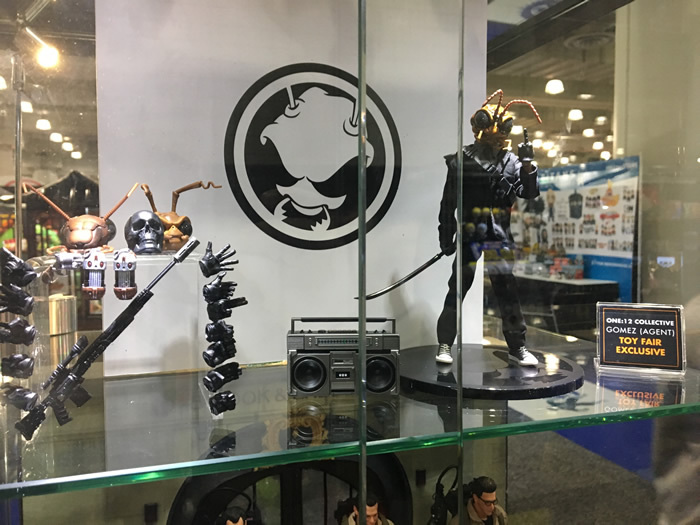 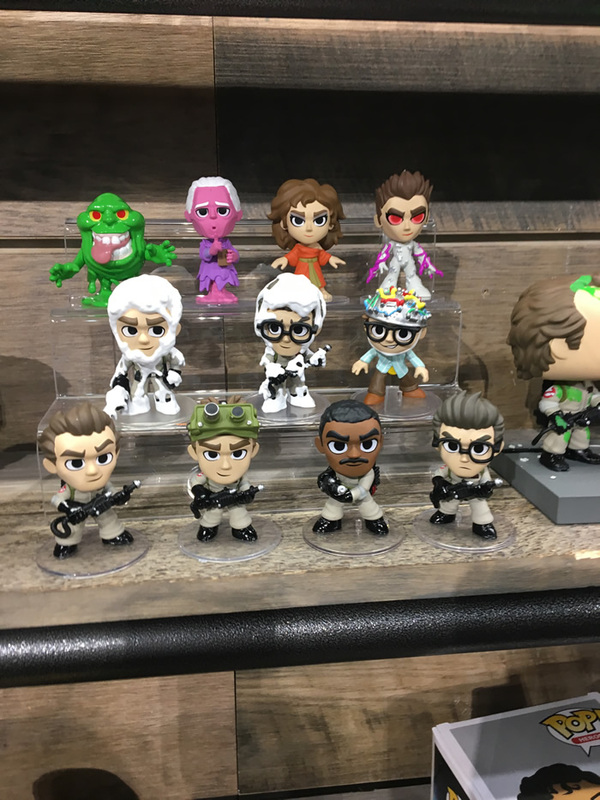 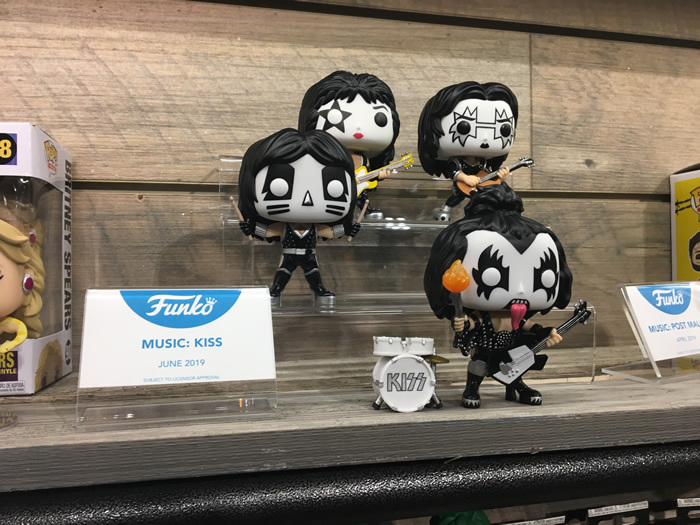 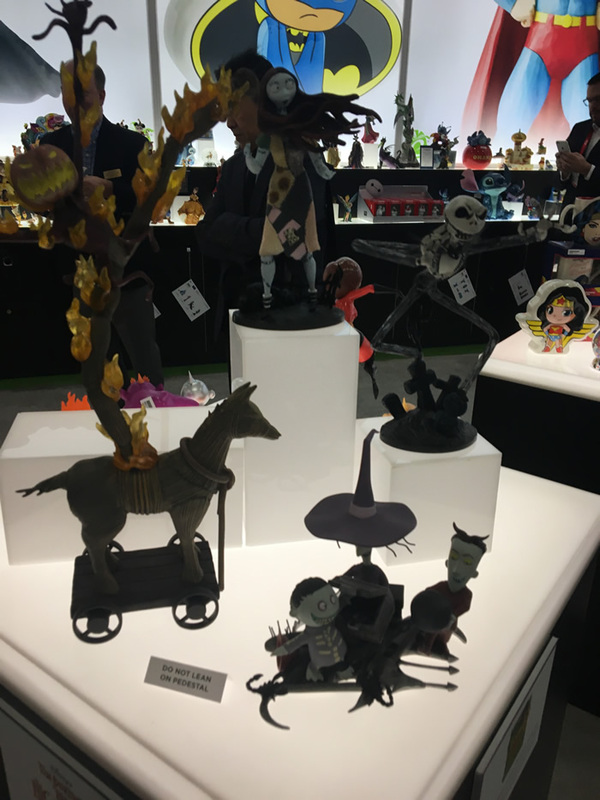 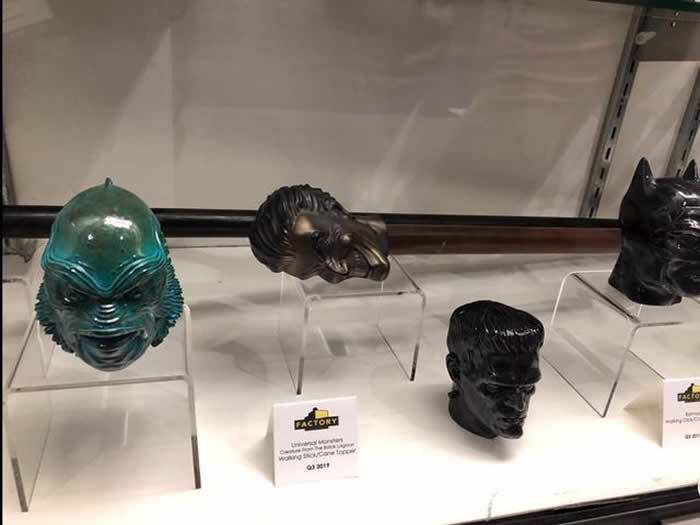 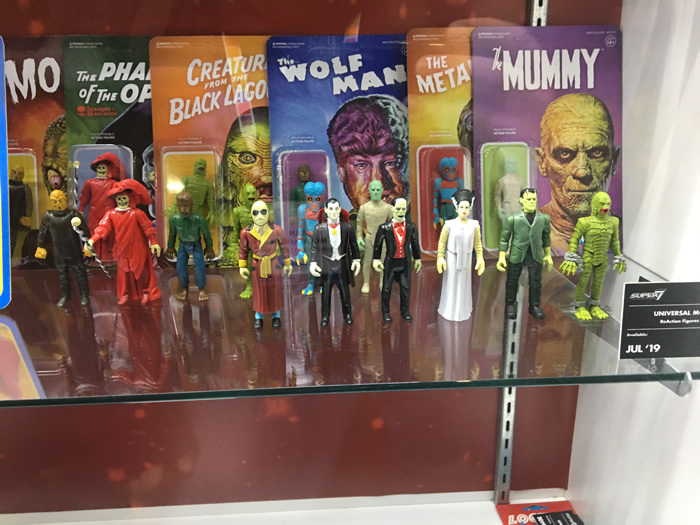 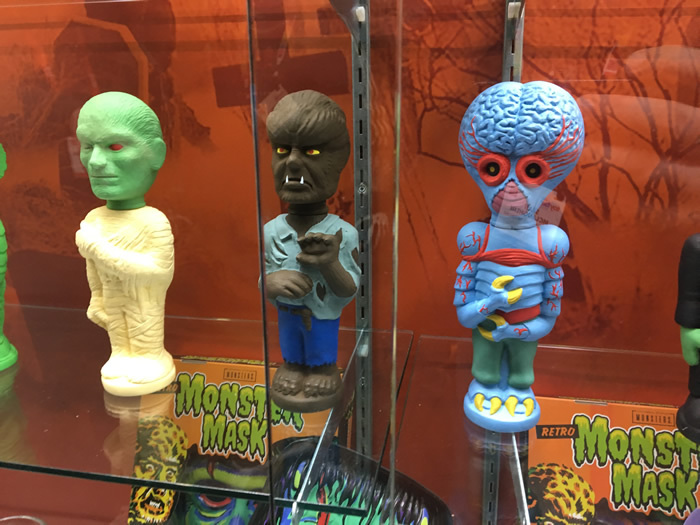 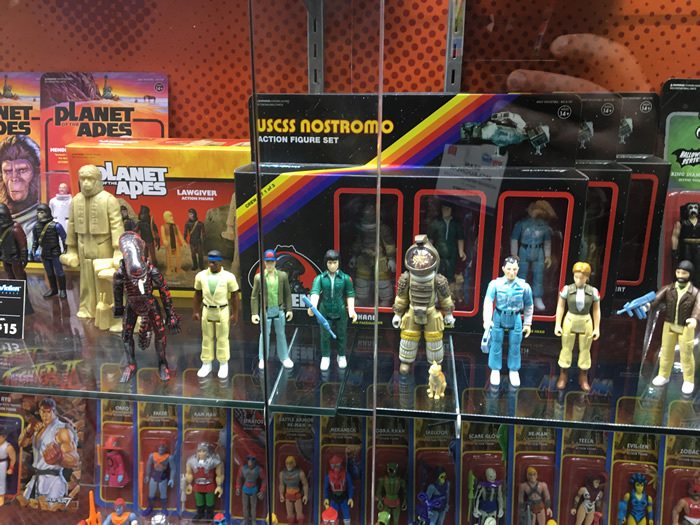 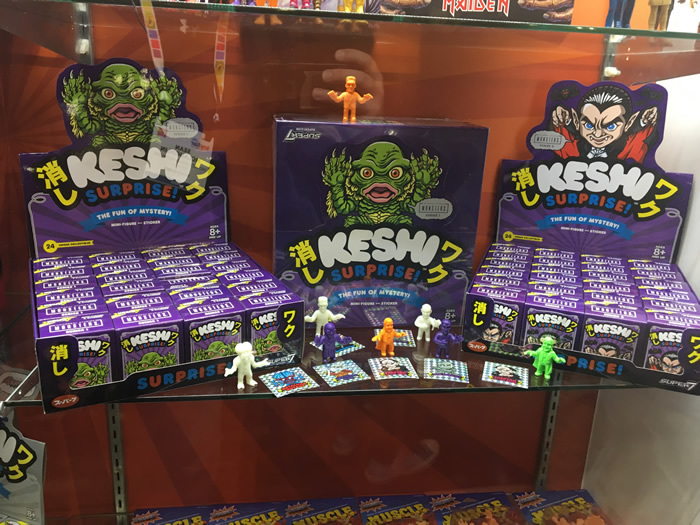 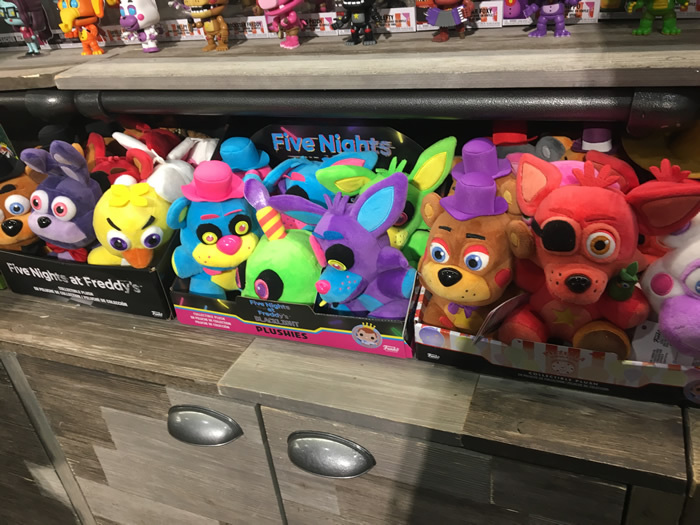 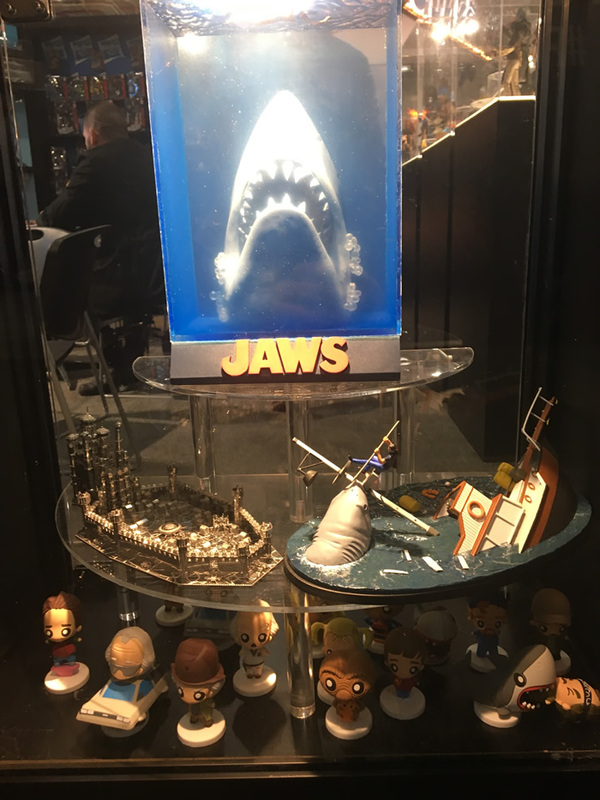 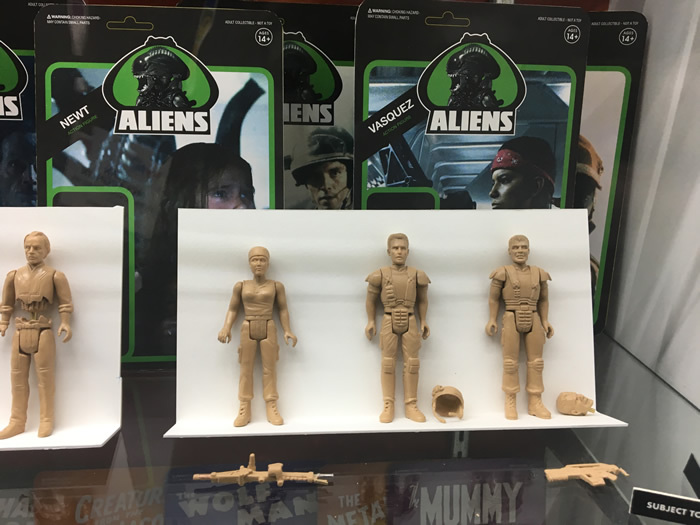 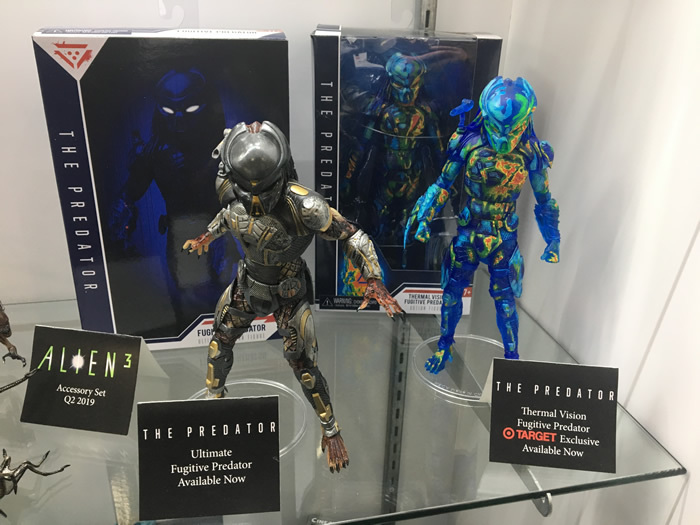 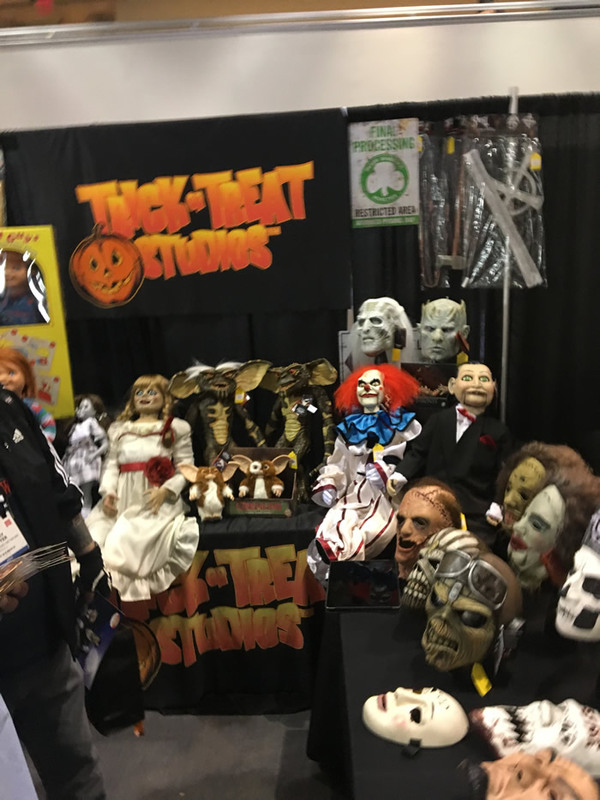 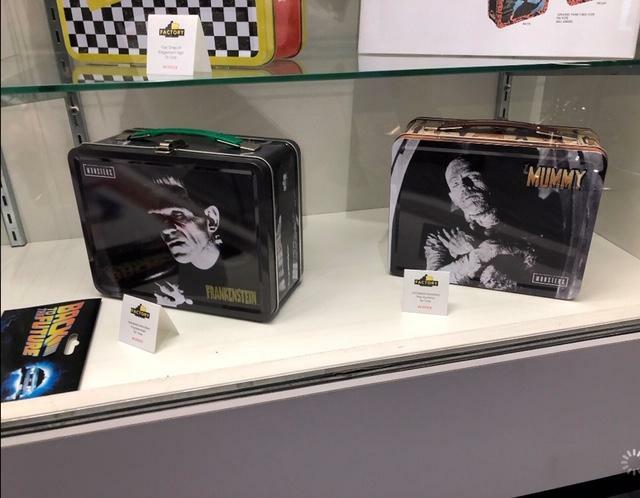 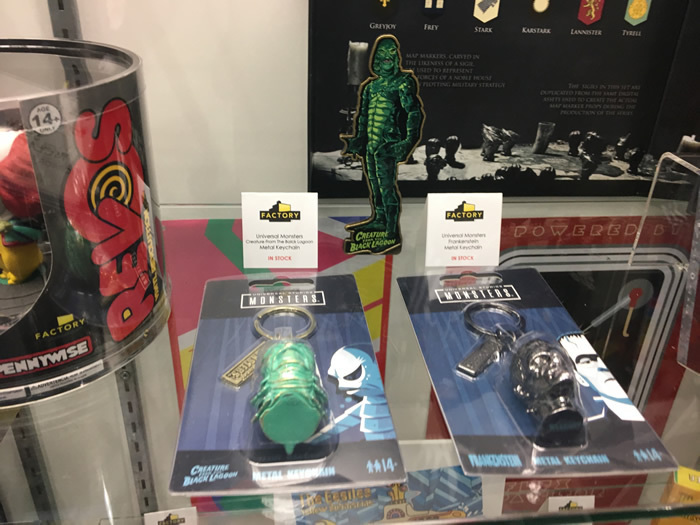 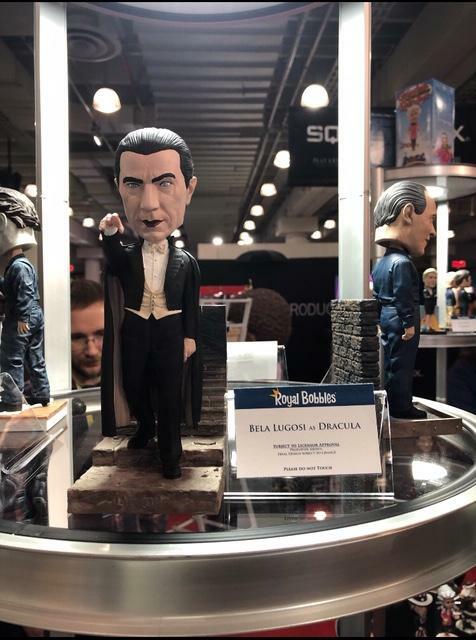 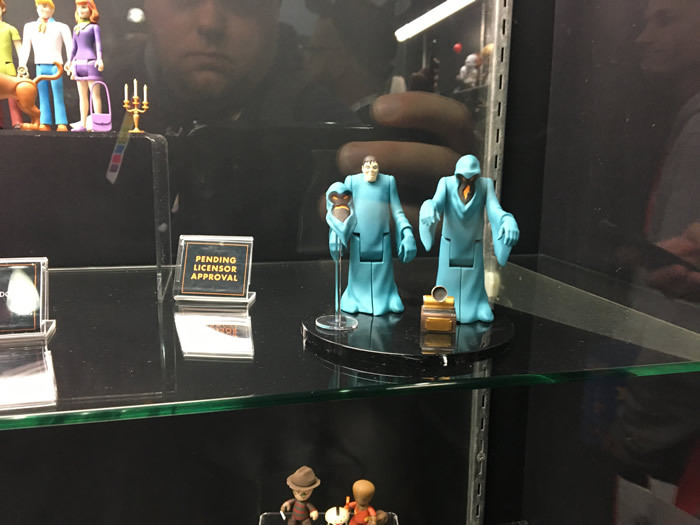 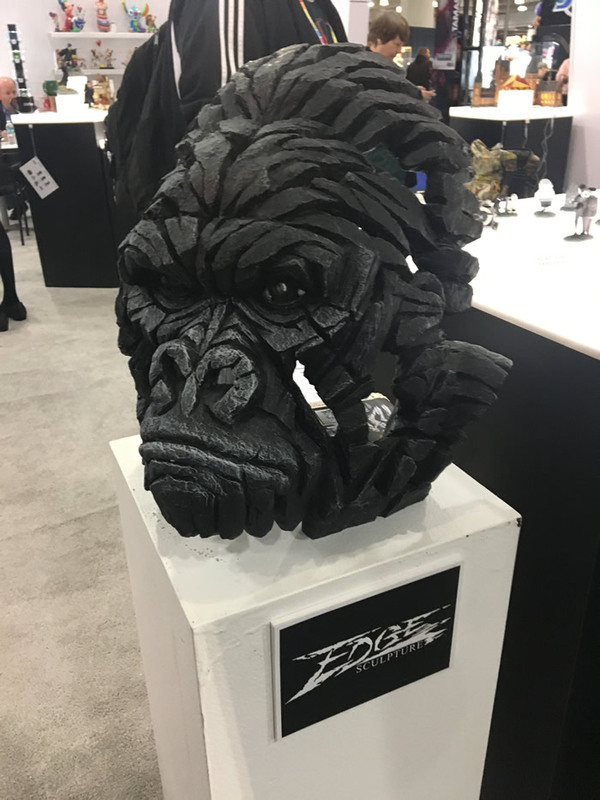 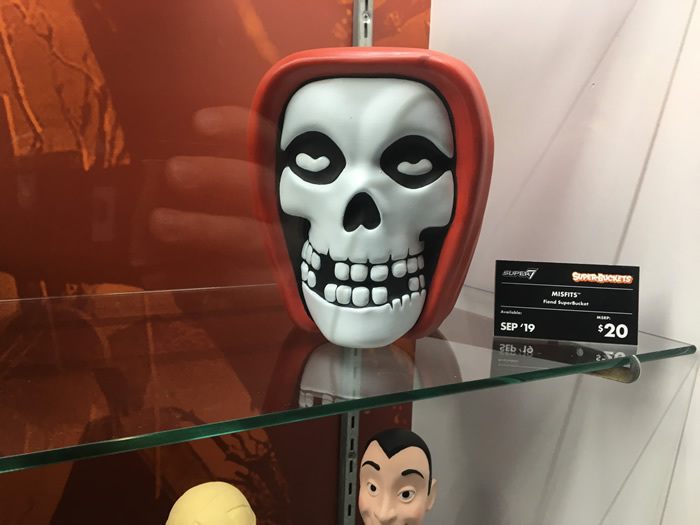 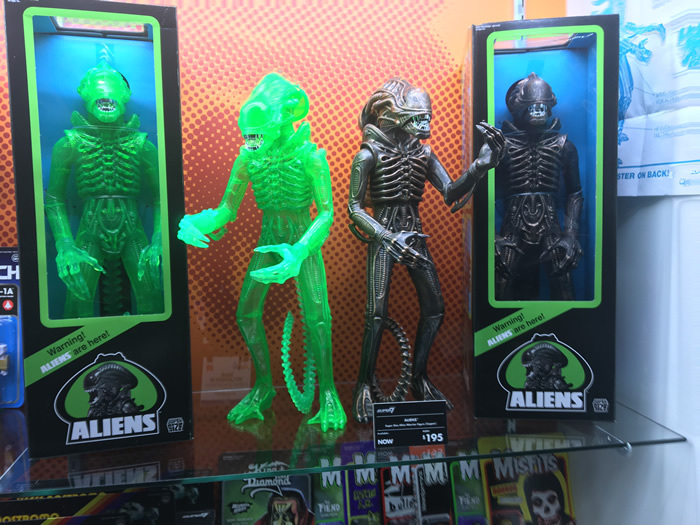 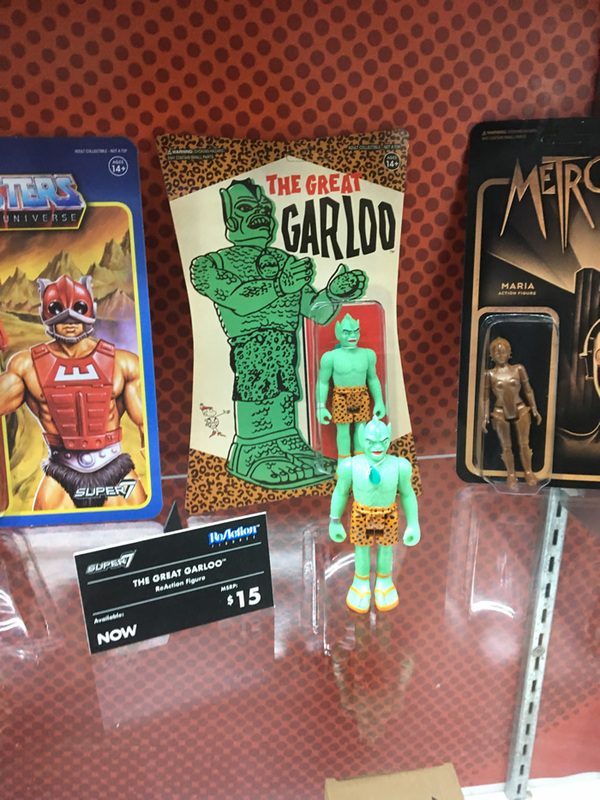 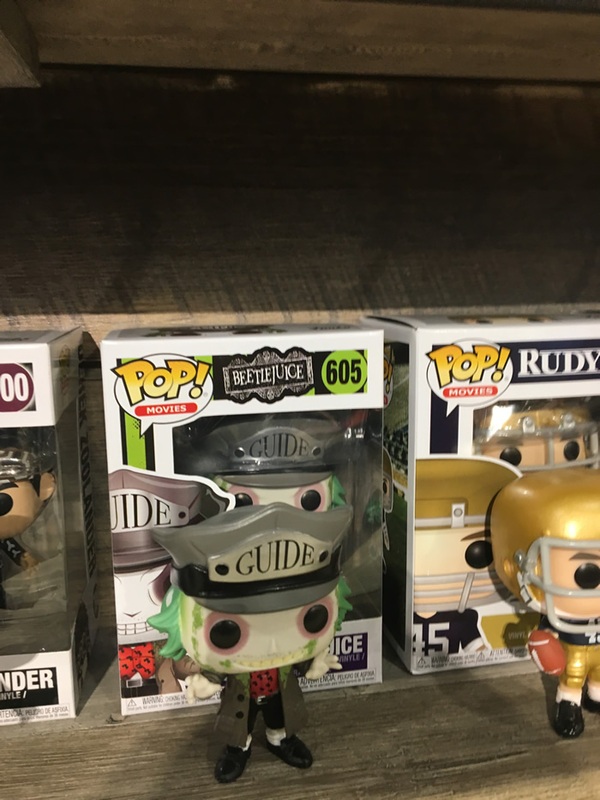 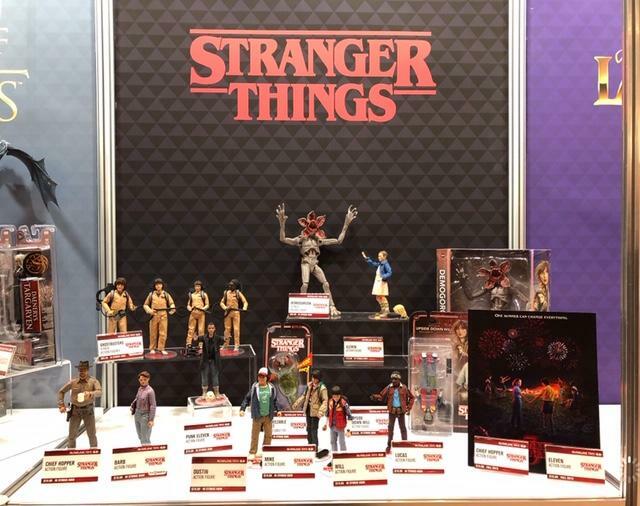 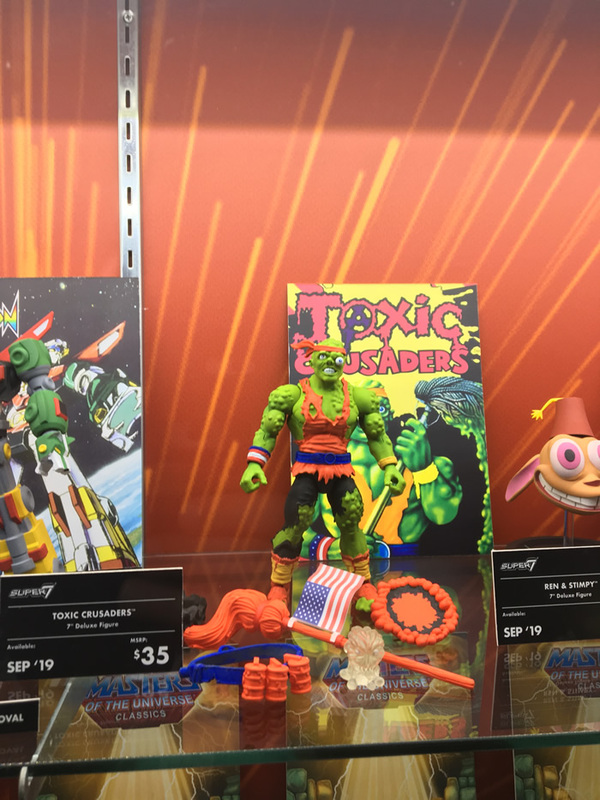 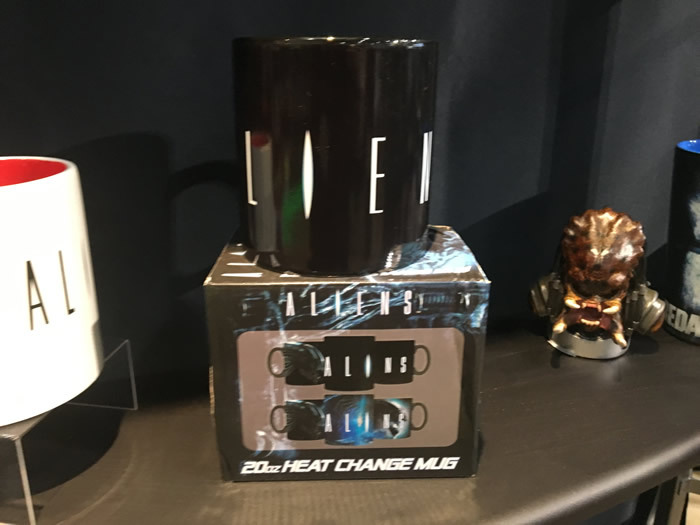 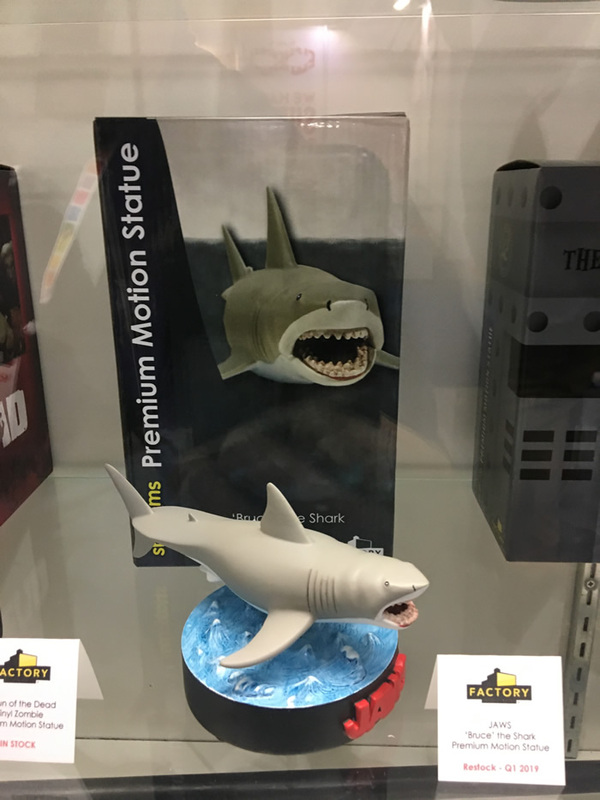 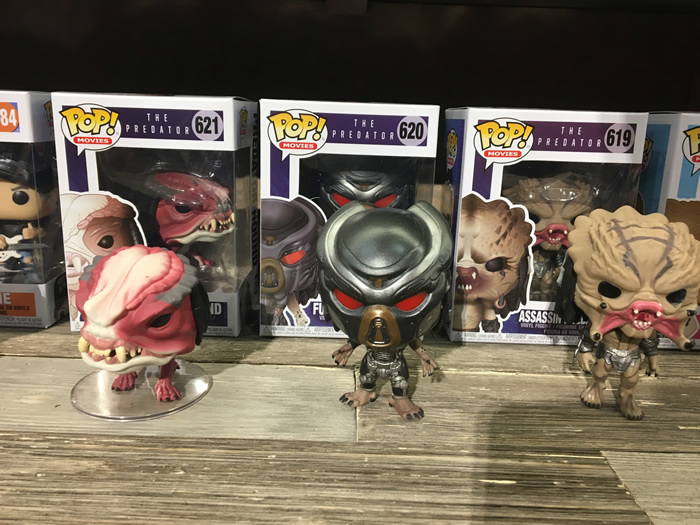 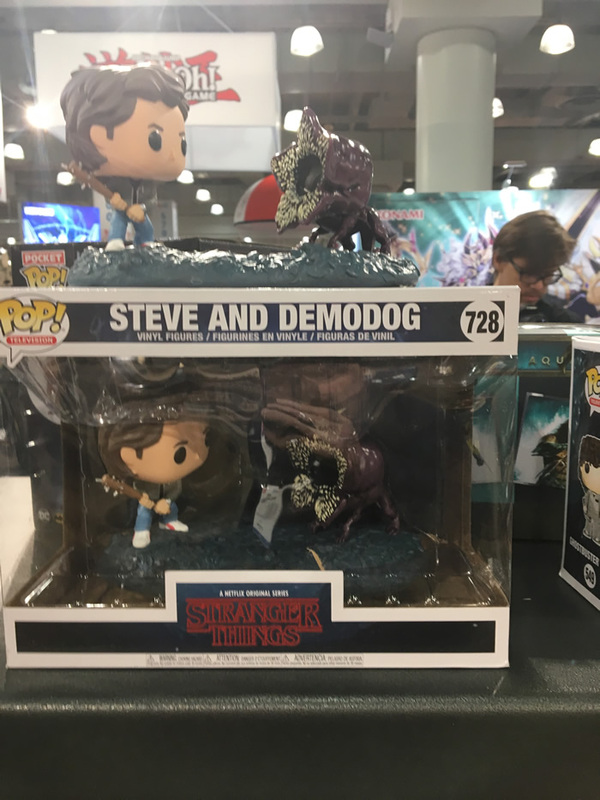 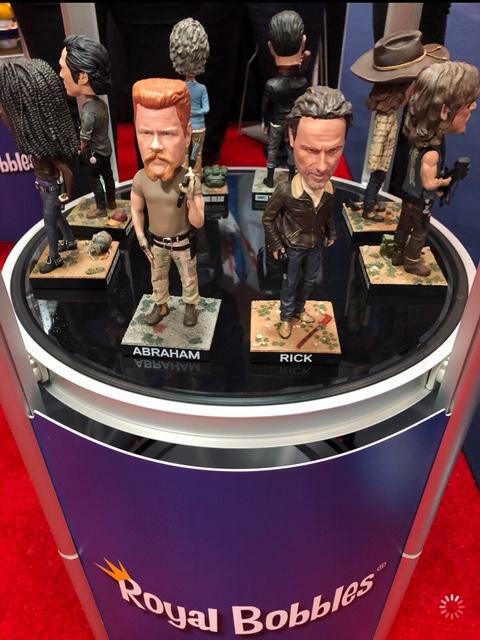 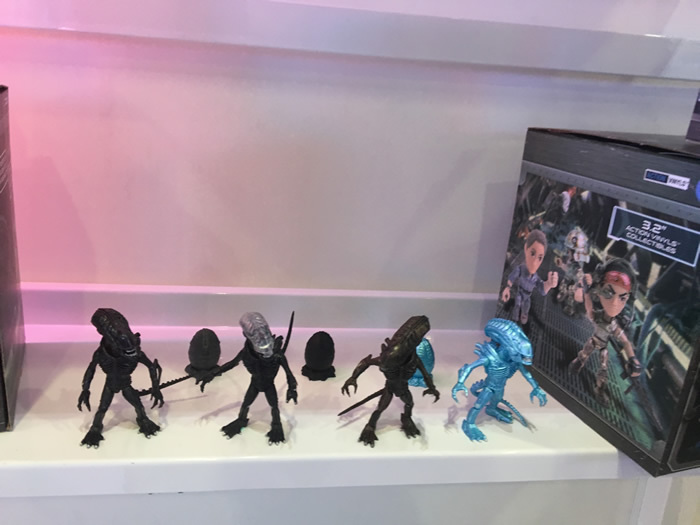 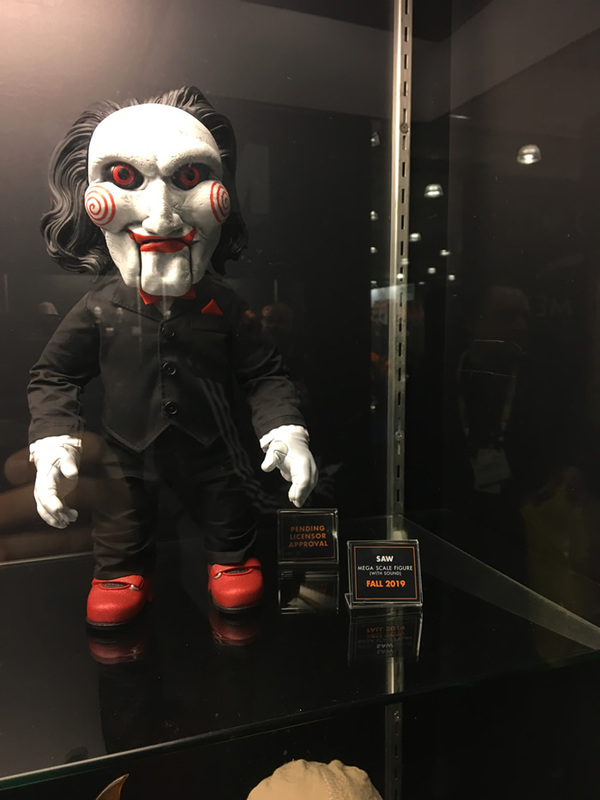 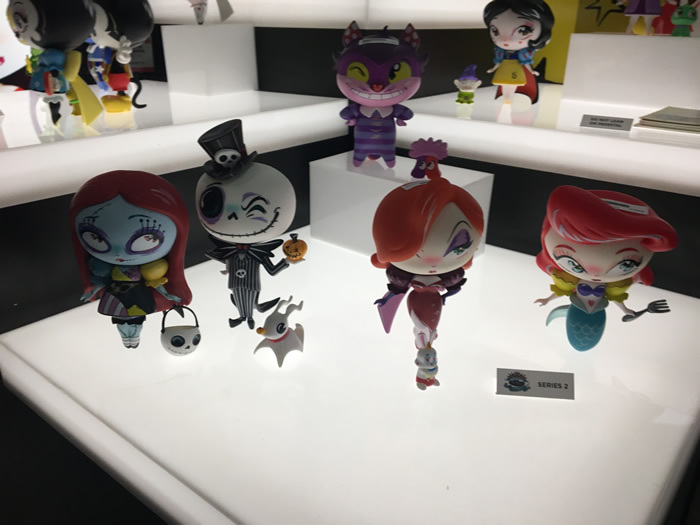 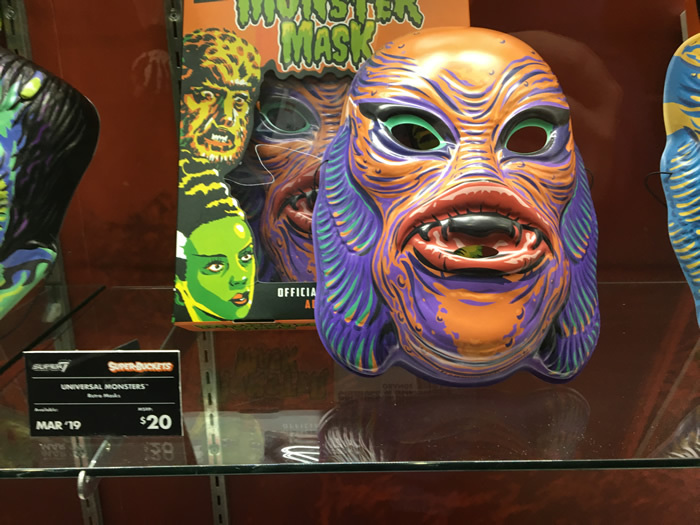 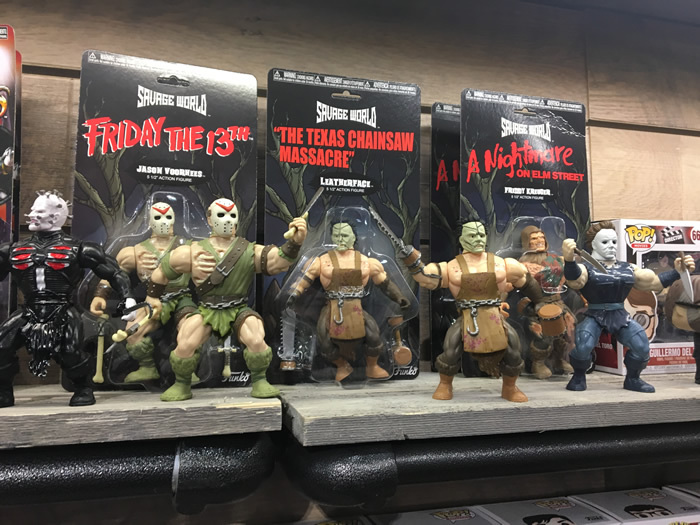 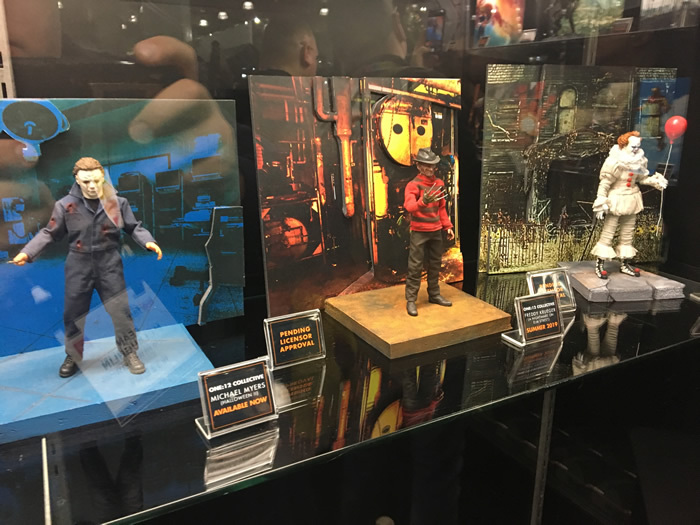 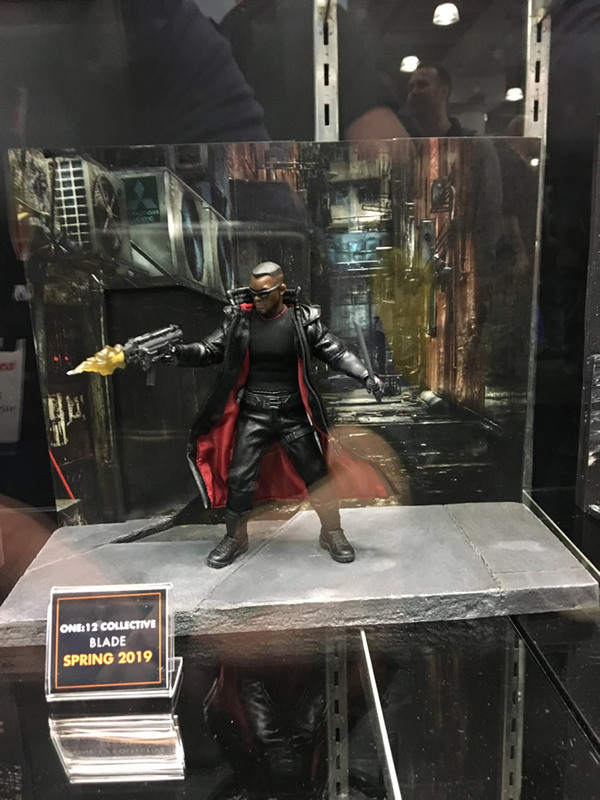 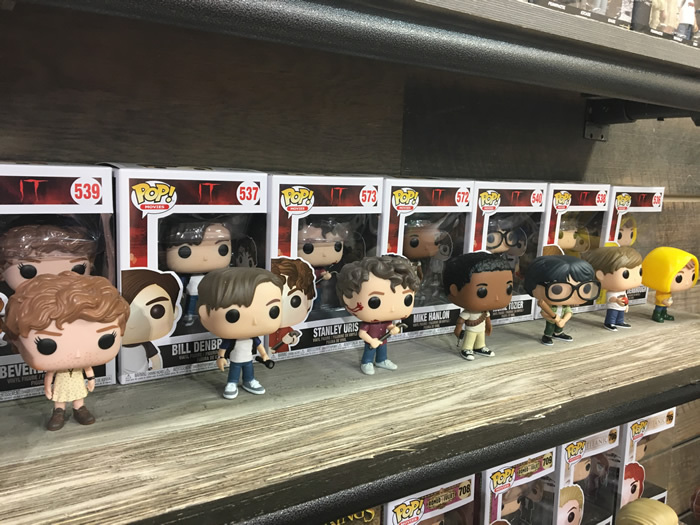 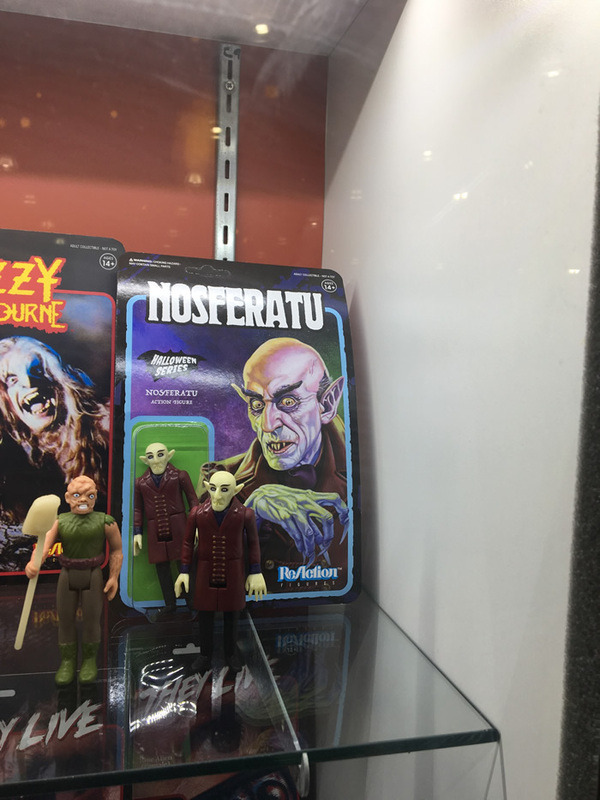 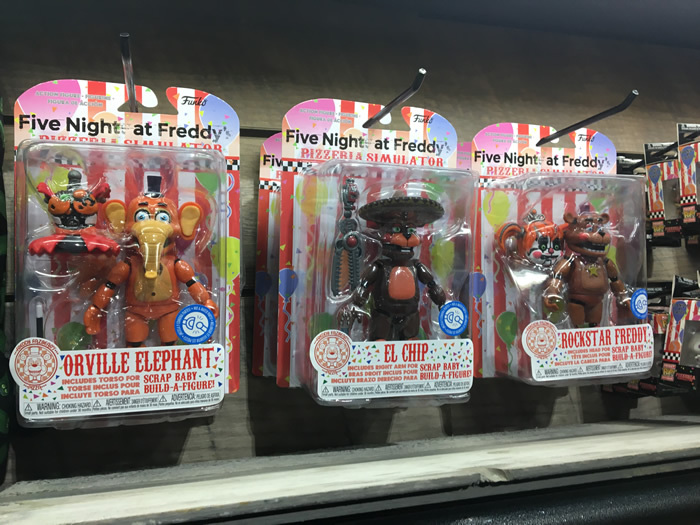 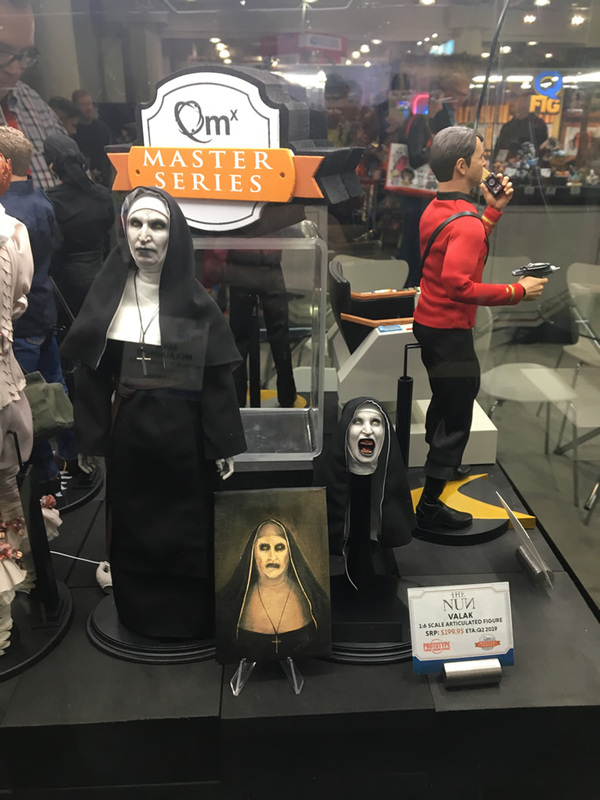 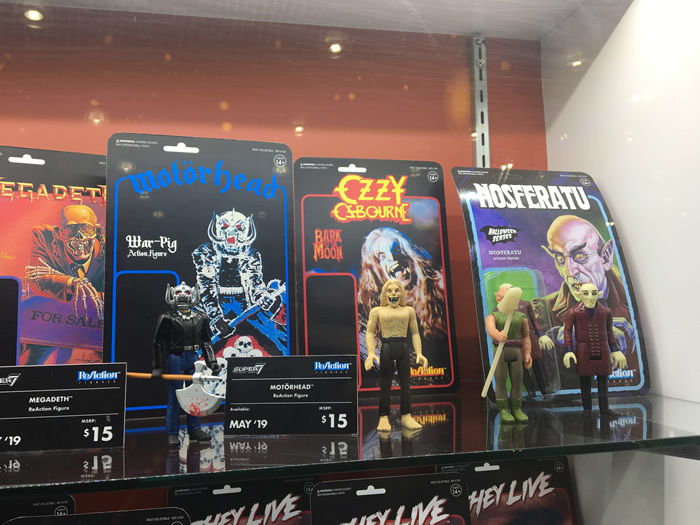 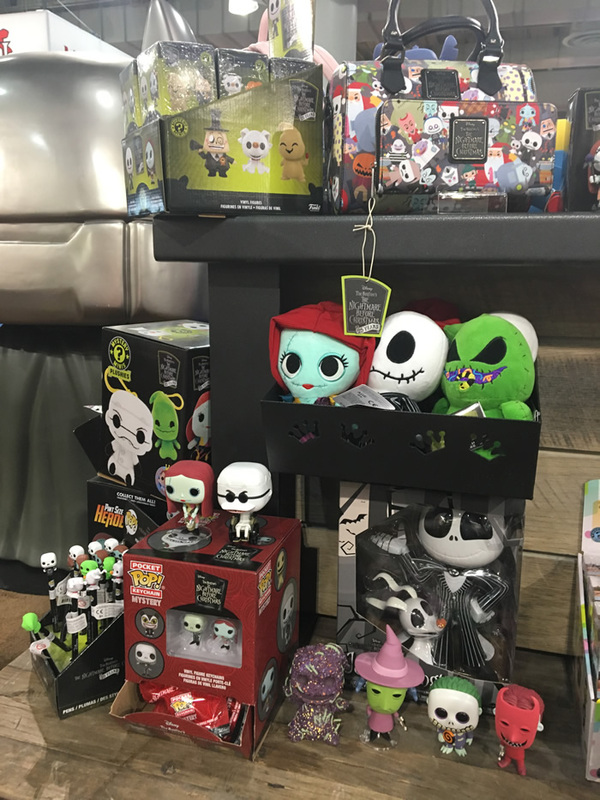 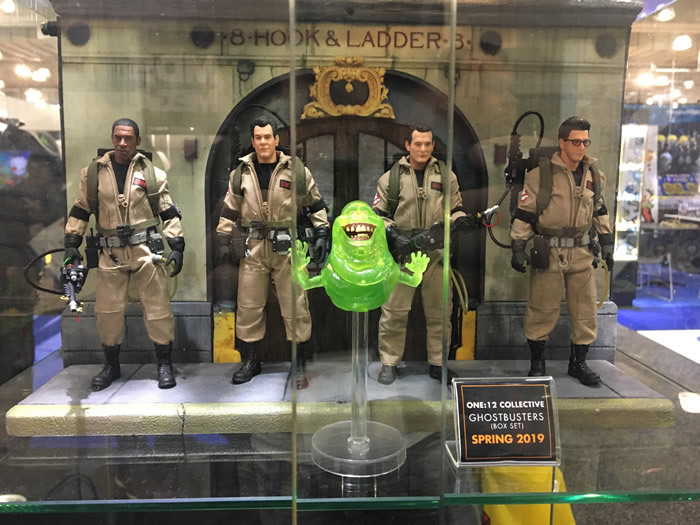 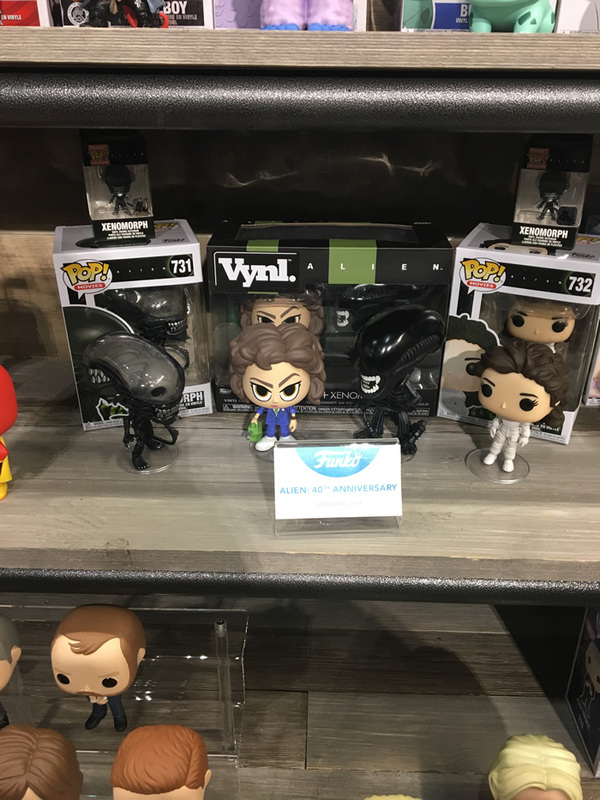 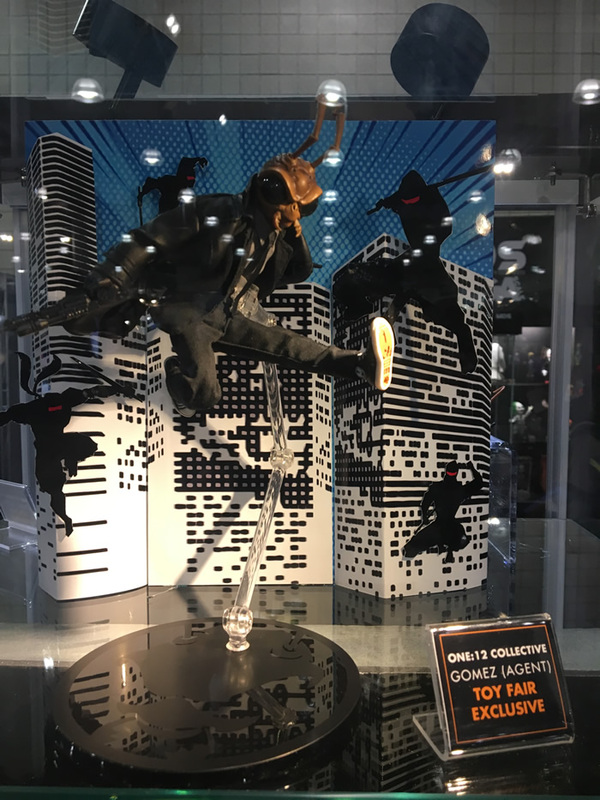 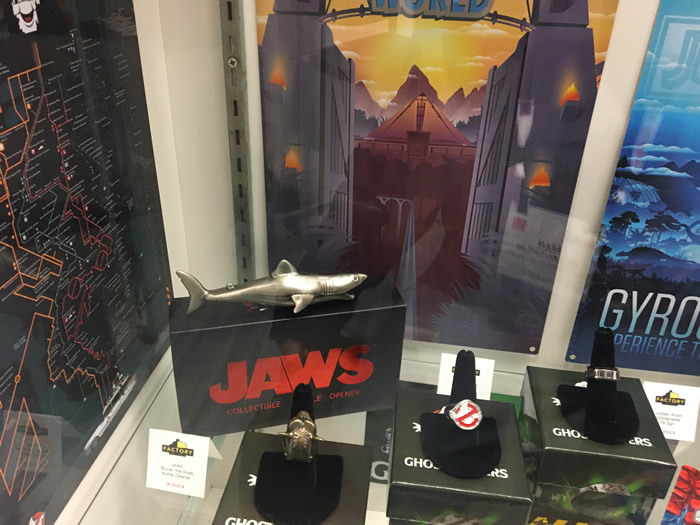 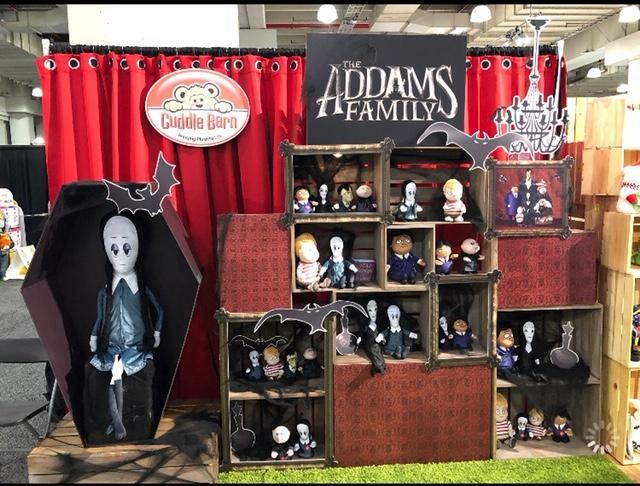 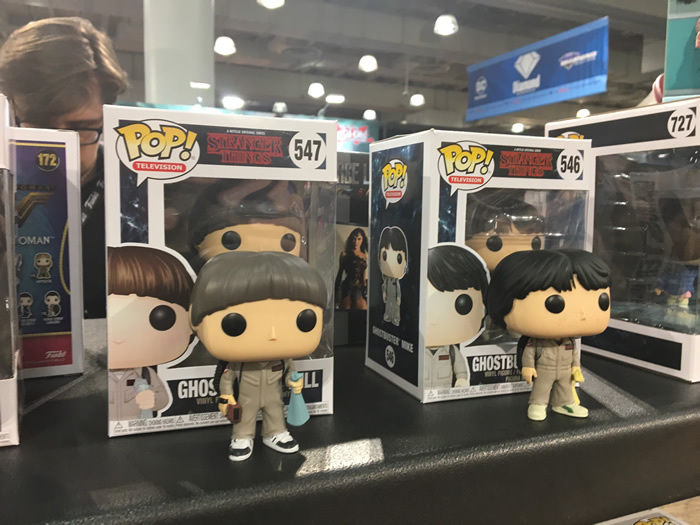 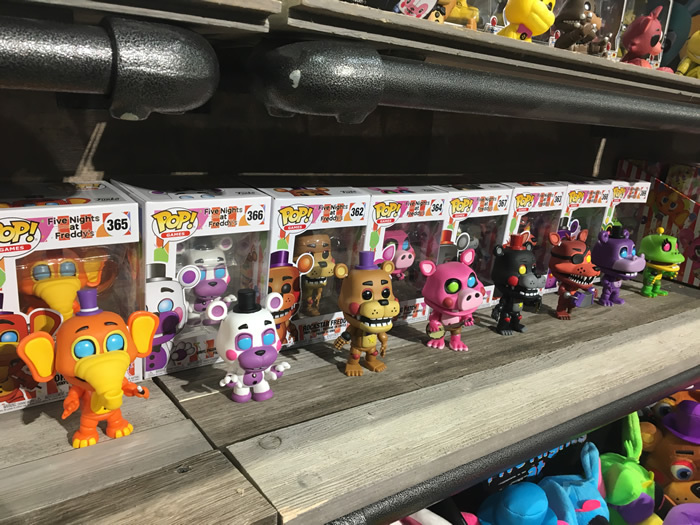 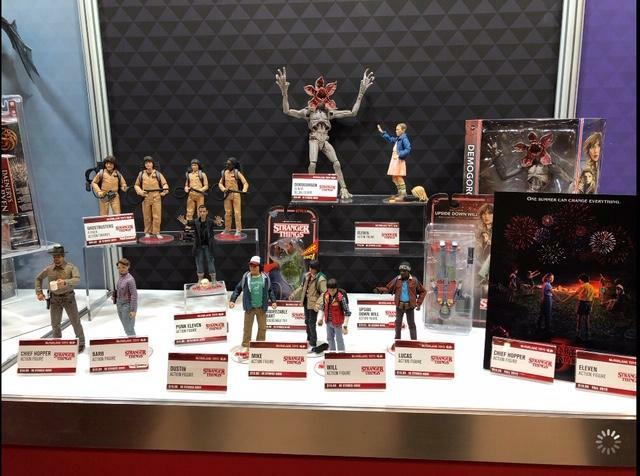 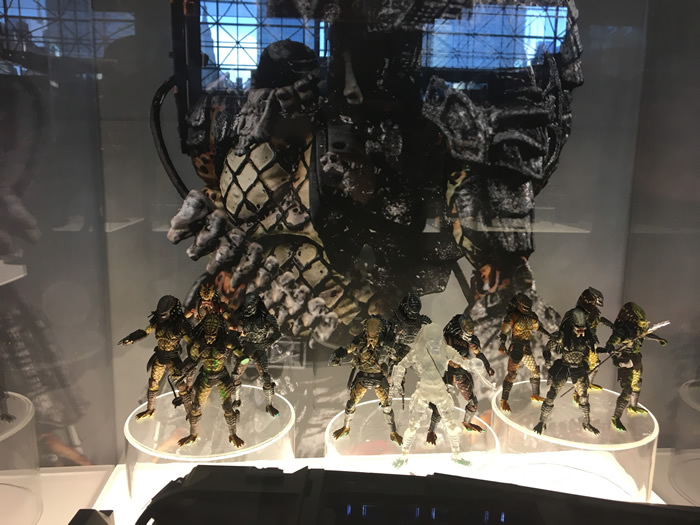 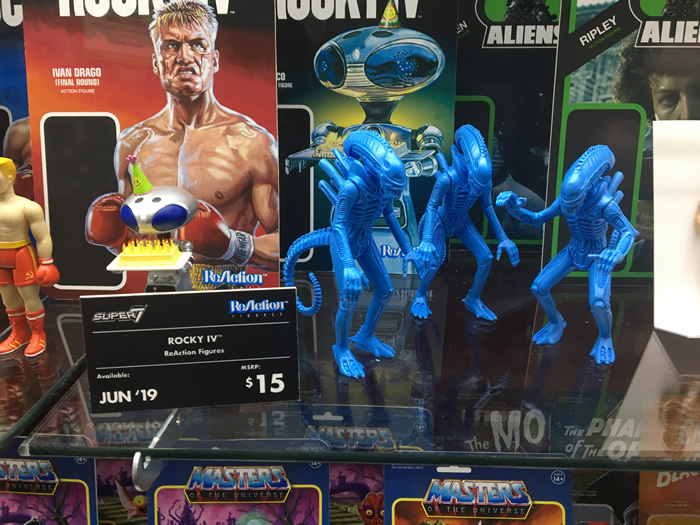 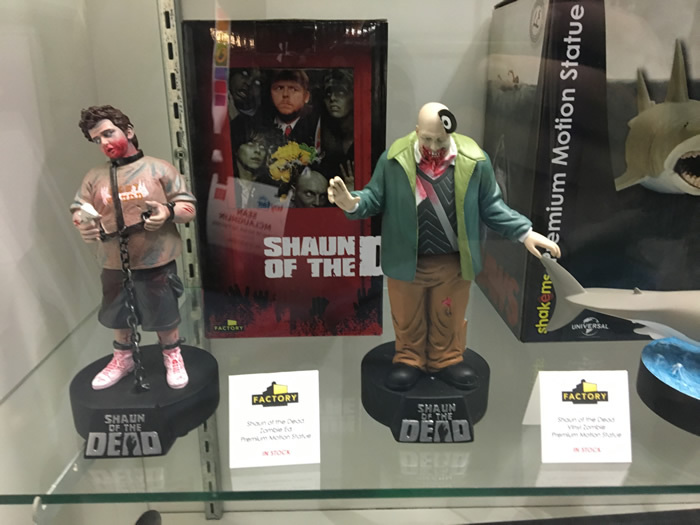 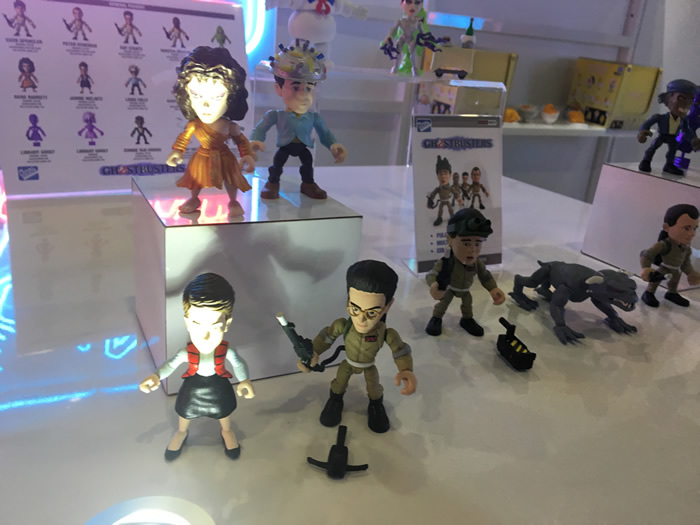 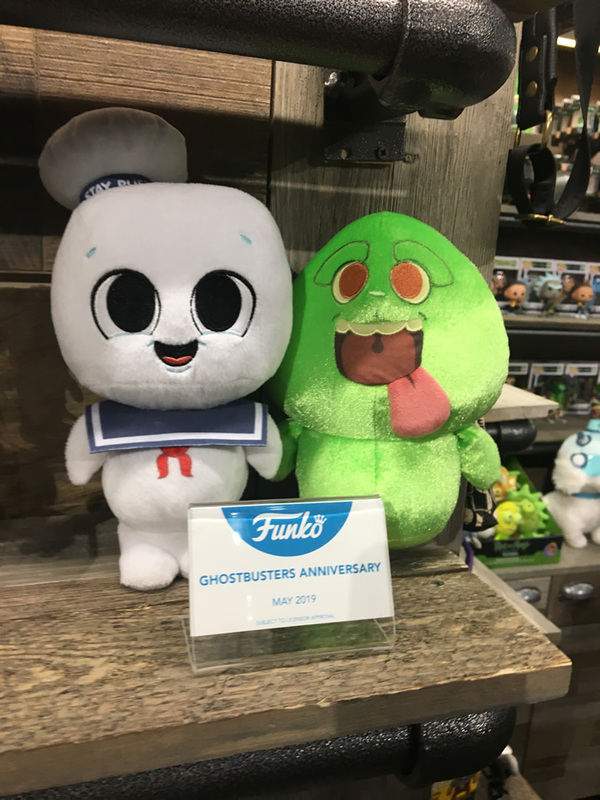 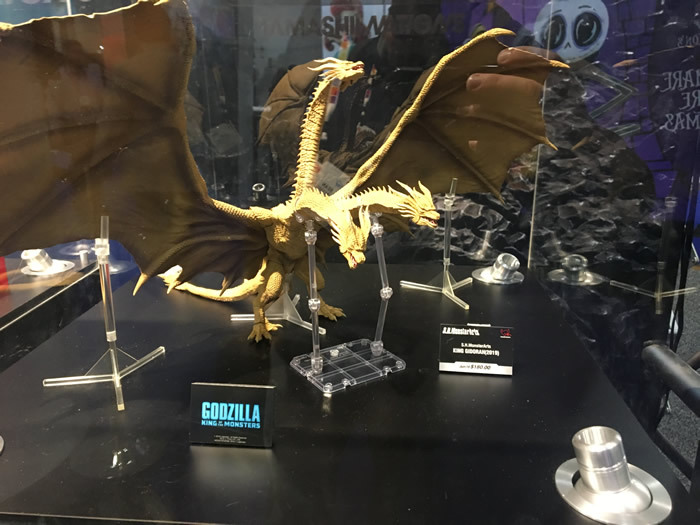 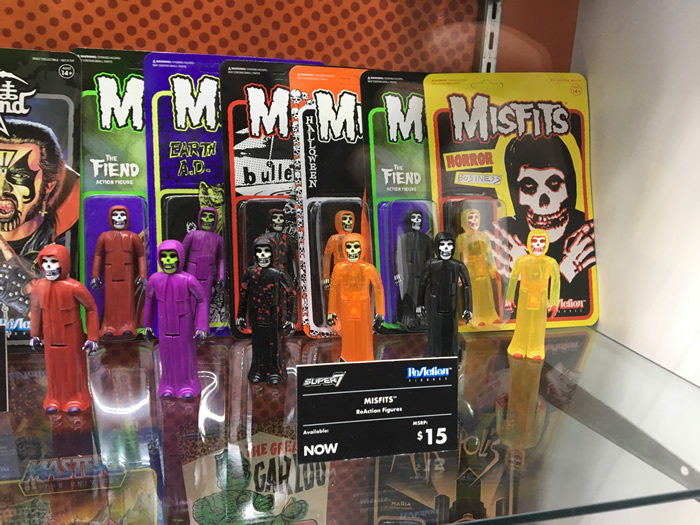 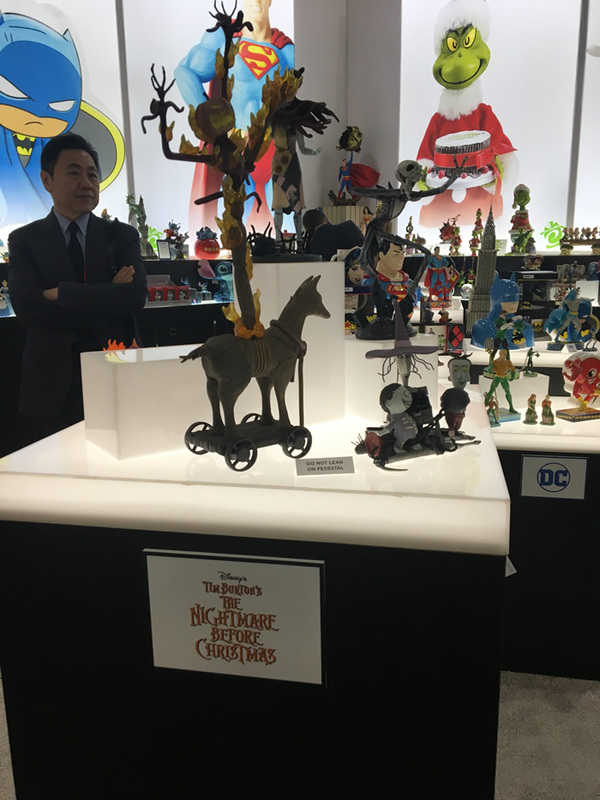 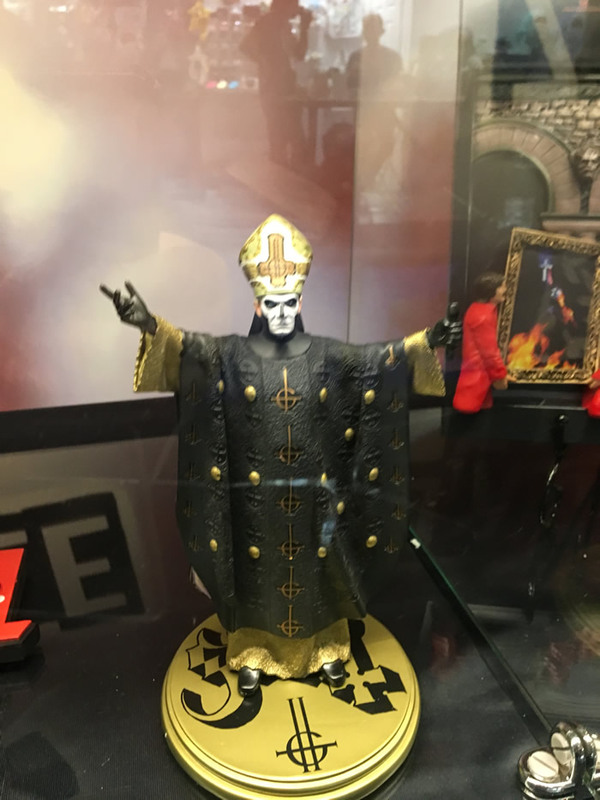 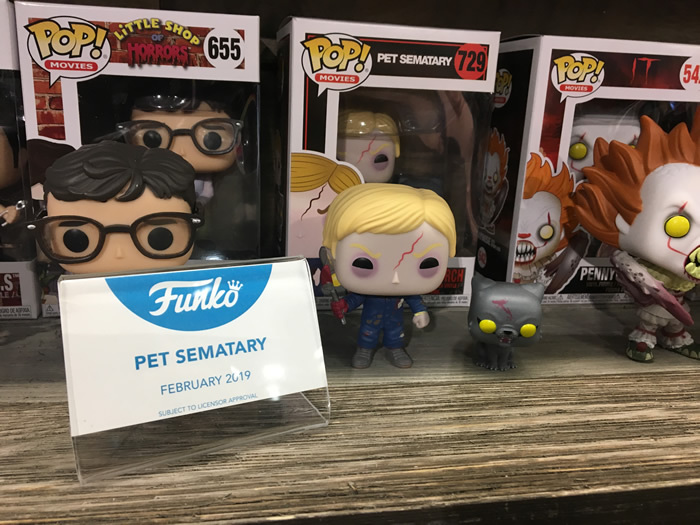 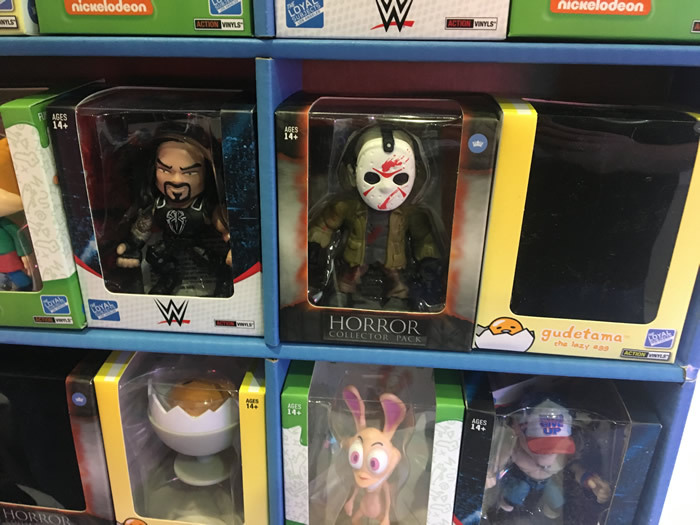 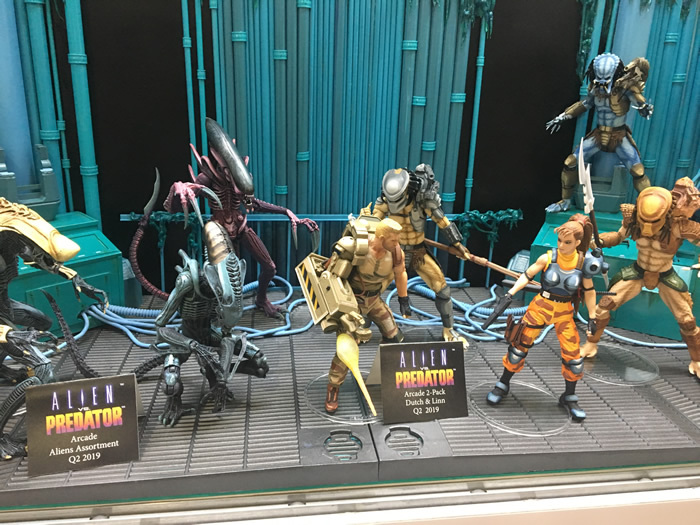 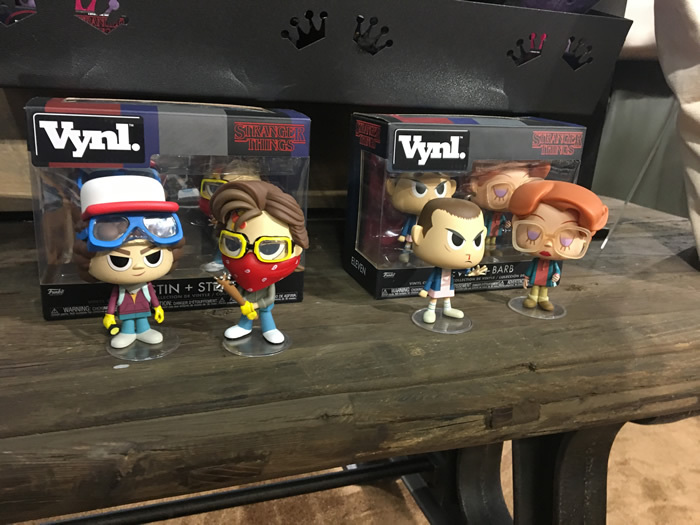 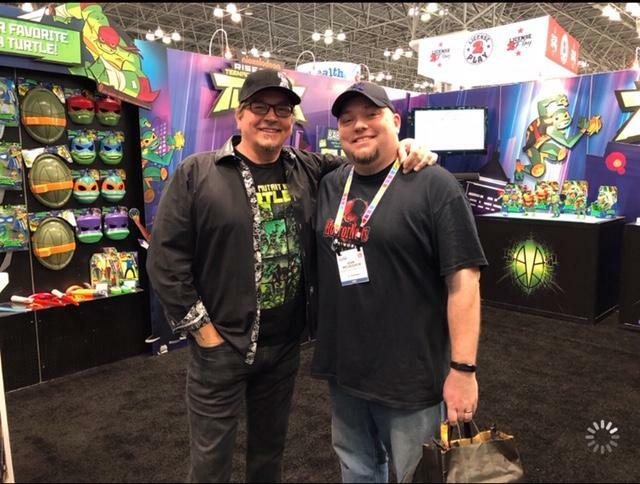 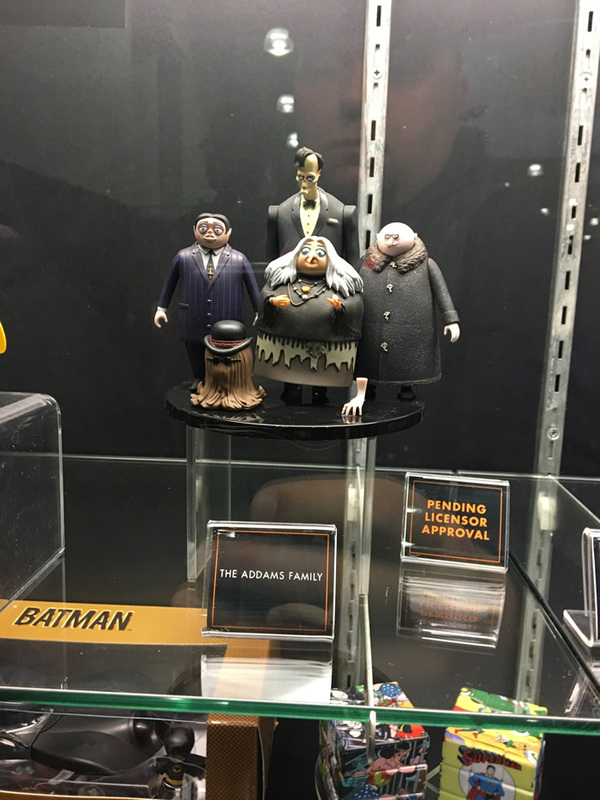 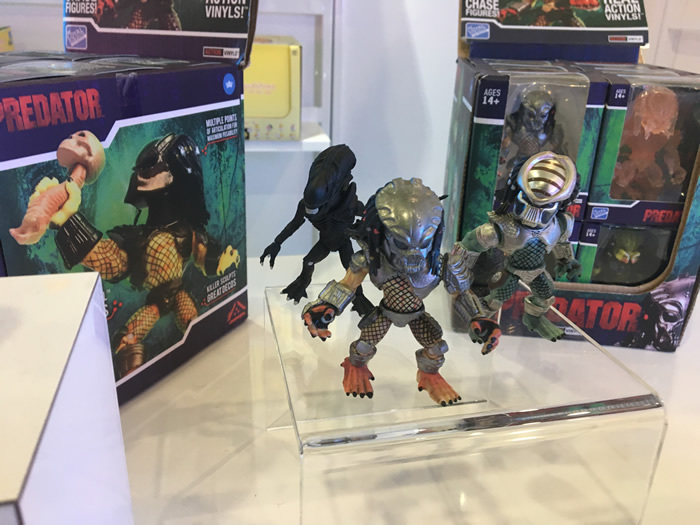 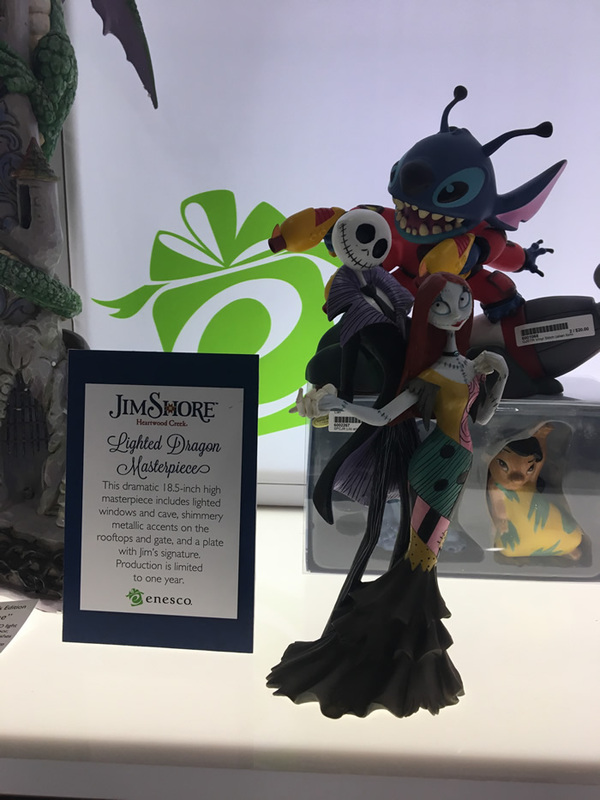 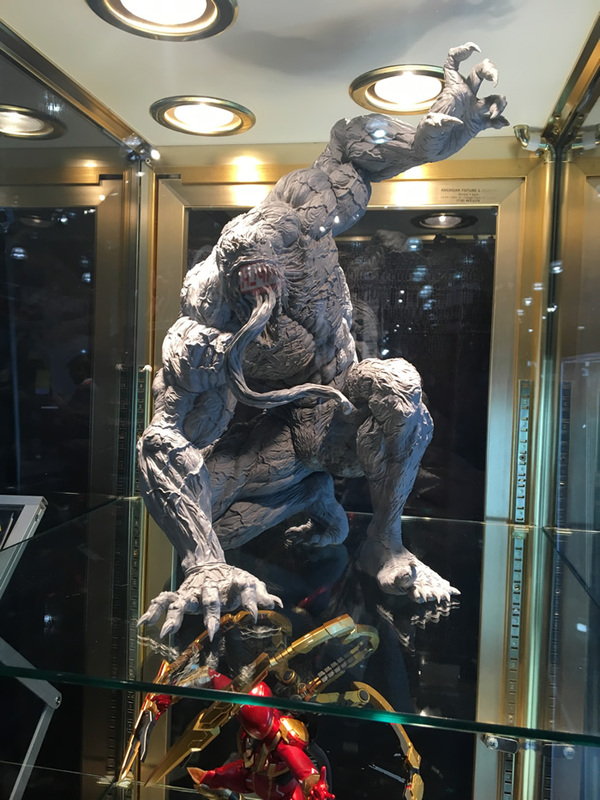 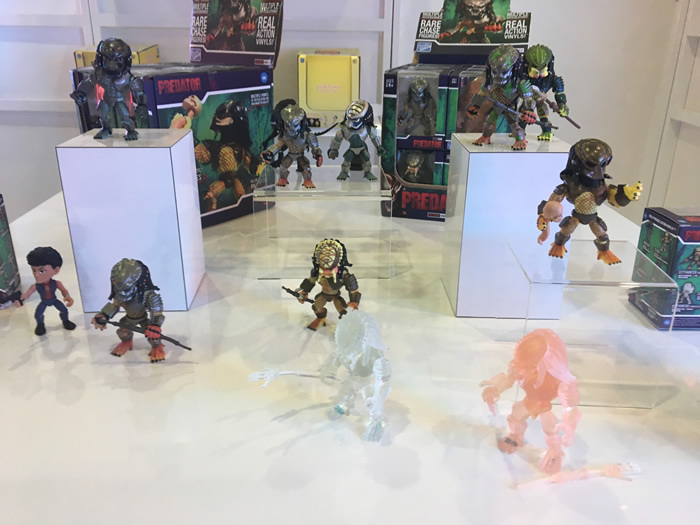 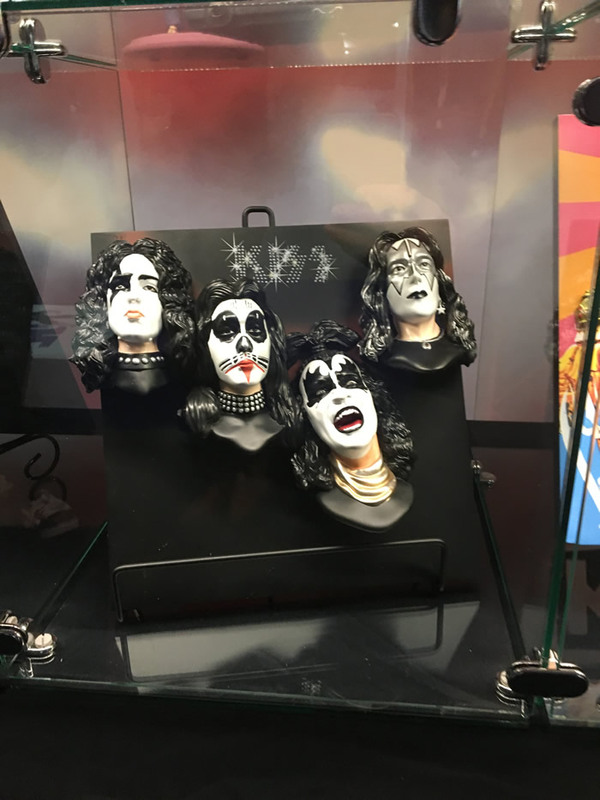 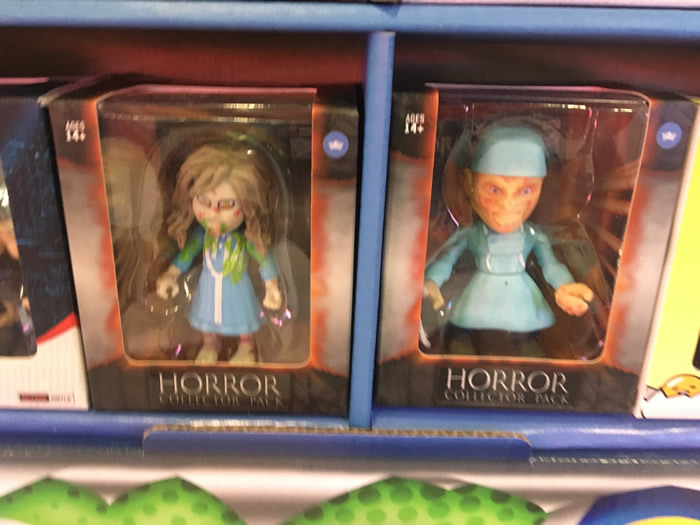 HNN's Coverage of The 2019 New York Toy Fair - Horror News Network - The Horror News You Need! 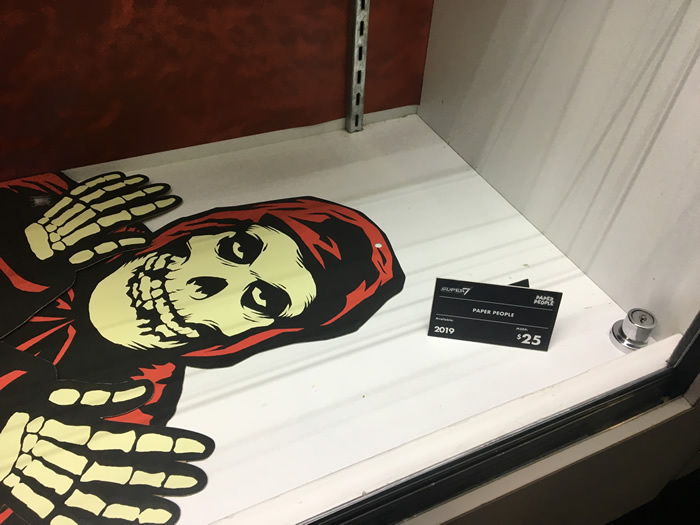 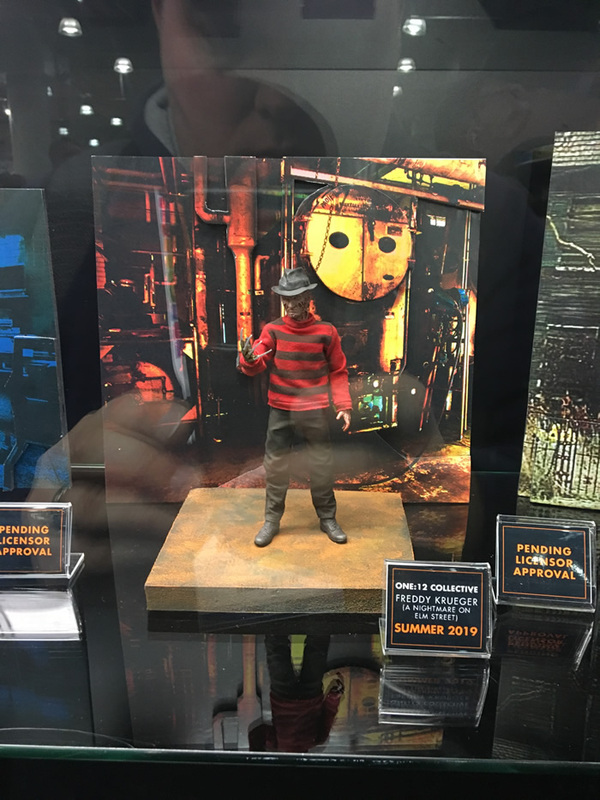 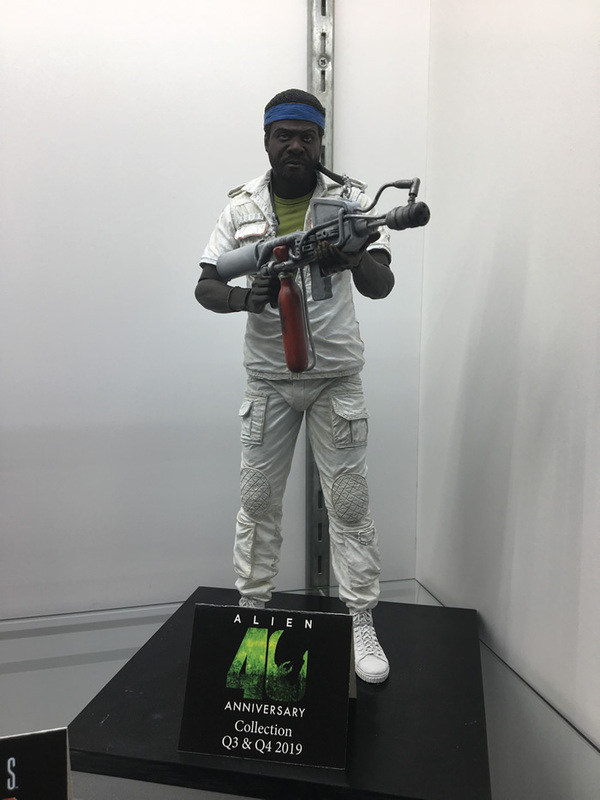 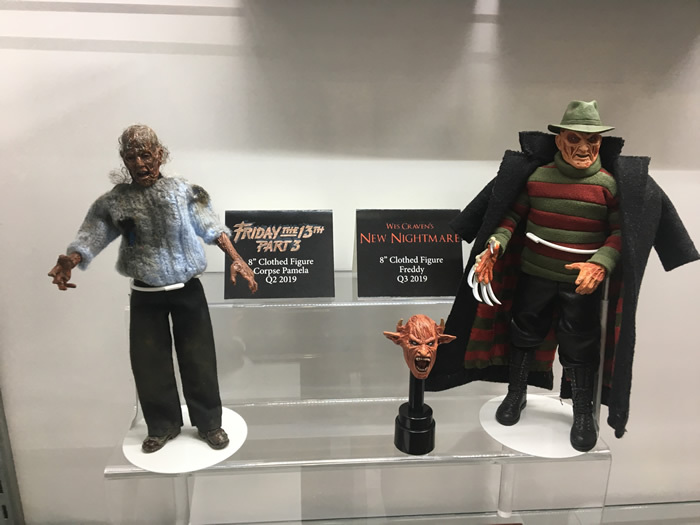 The usual suspects of horror industry heavyweights such as NECA, Mezco and McFarlane Toys (among many others) did not disappoint with their impressive displays and product announcements, which are covered in the event pictures posted here. 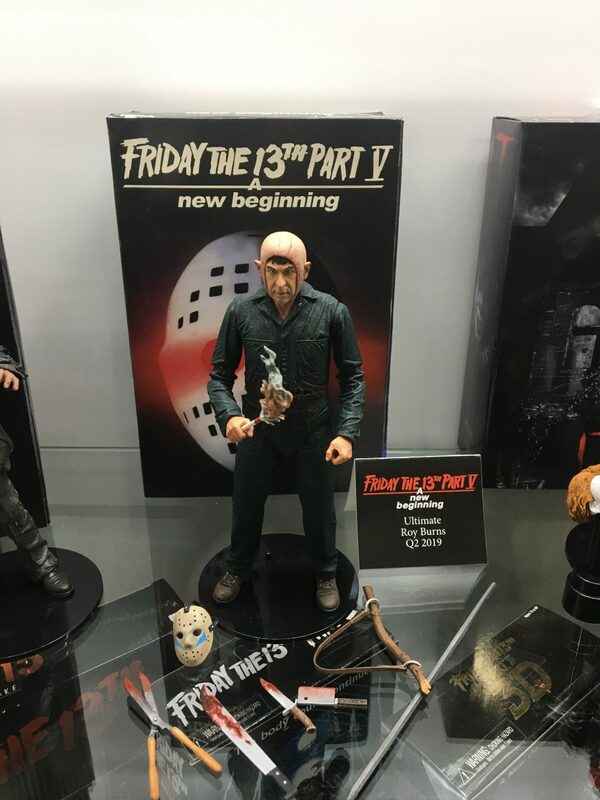 While the genre standards like Freddy Krueger, Jason Voorhees and Chucky were of course well-represented, several new exciting licenses were unveiled as well. 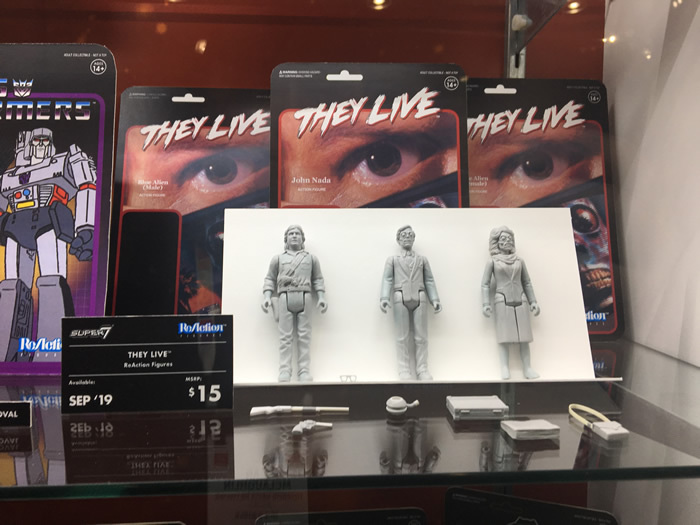 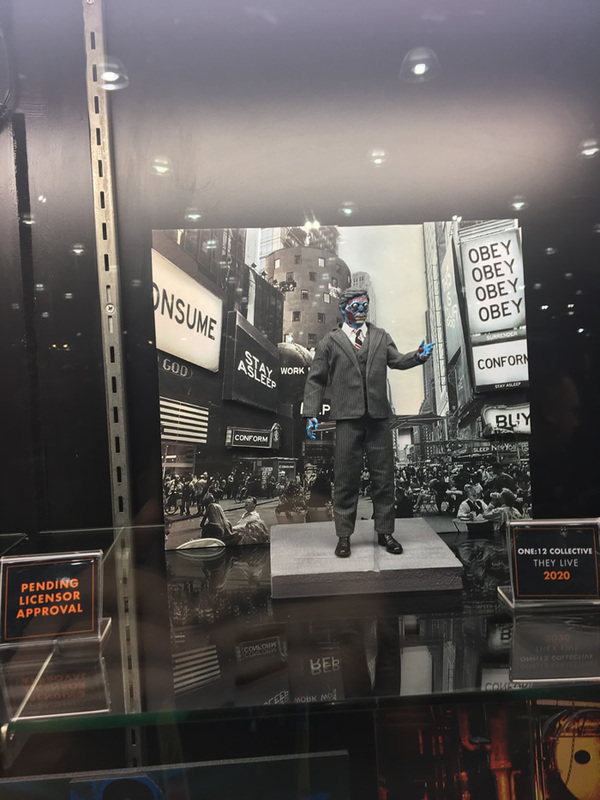 Our favorites are They Live, which saw multiple companies announce brand-new figure lines, and the anticipated upcoming film The Curse of La Llorona. 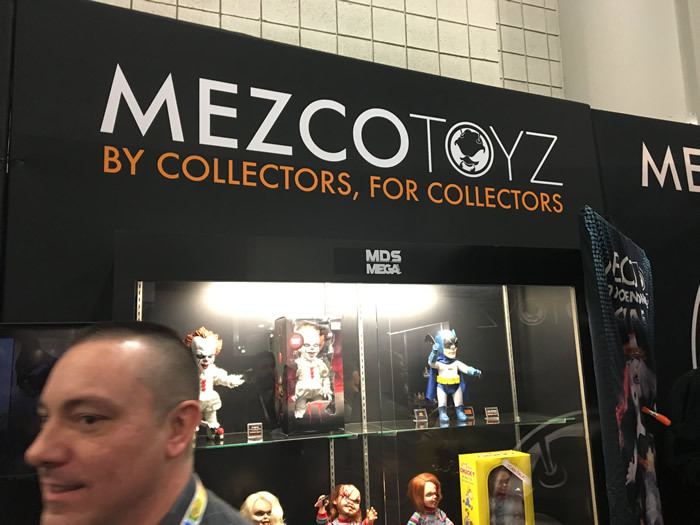 Mezco appears to be knocking it out of the park in respect to the latter. 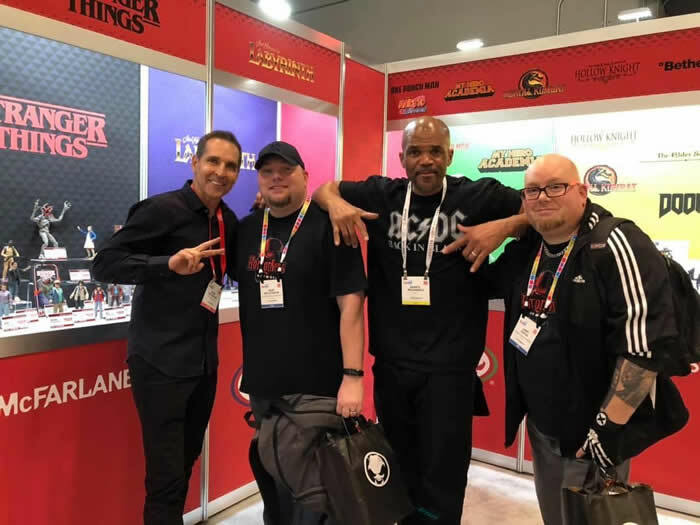 HNN was able to spend time with industry heavyweights such as Todd McFarlane himself and Teenage Mutant Ninja Turtles co-creator Kevin Eastman, as well as hip hop legend Darryl “DMC” McDaniels. 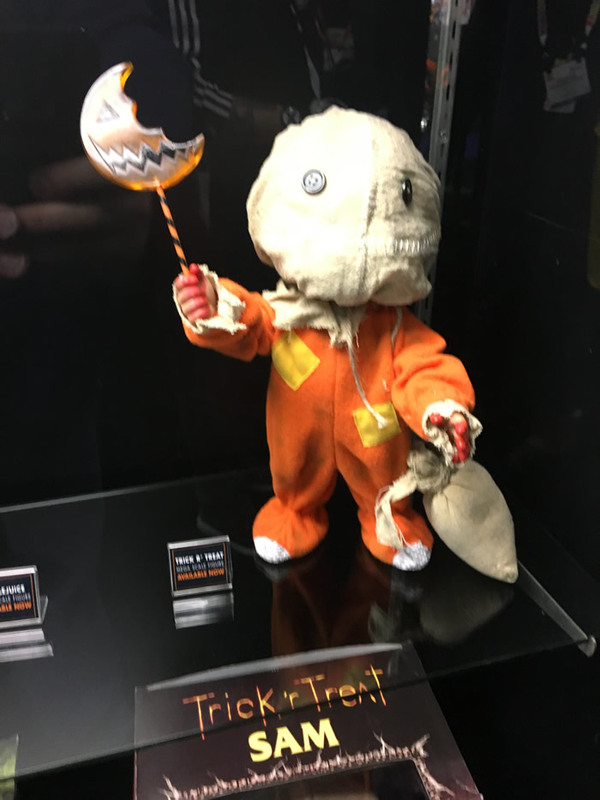 Our social media accounts were busy, posting photos throughout the day and even going Live on Facebook with the folks from Trick or Treat Studios (video posted on our page if you missed it live.) 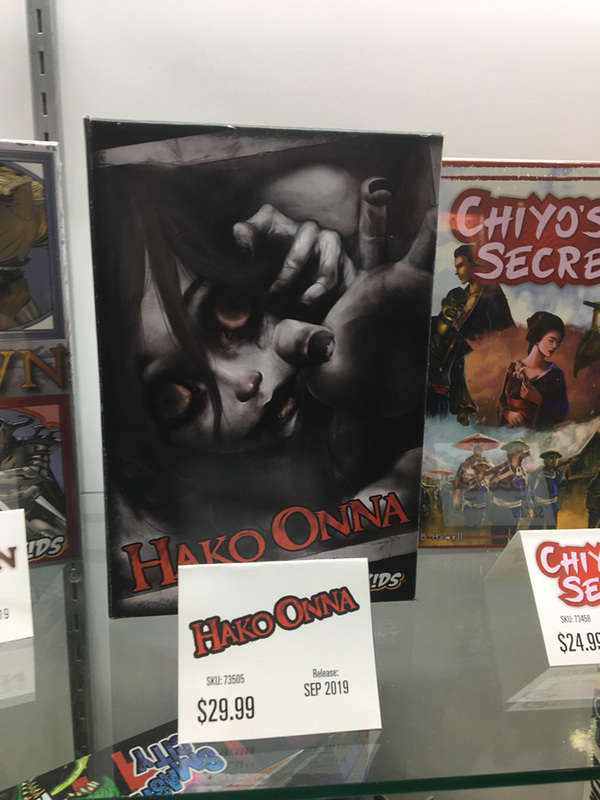 Larry and Sean caught up with our friends over at the Nerds in a Bar podcast (“Nerds in a Bar” on YouTube), did an exclusive interview with WizKids/NECA on their upcoming horror board game from Japan called “Hako Onna” (https://youtu.be/U4MciNT7oX4), and even shot exclusive swag bag un-boxing and the McFarlane booth tour videos for our Patreon clients only (https://www.patreon.com/horrornewsnetwork). 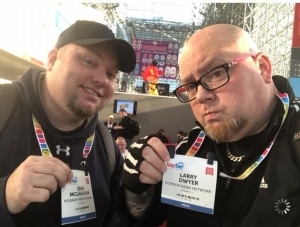 The boys had a blast at Toy Fair New York 2019, and can’t wait for next year’s edition. 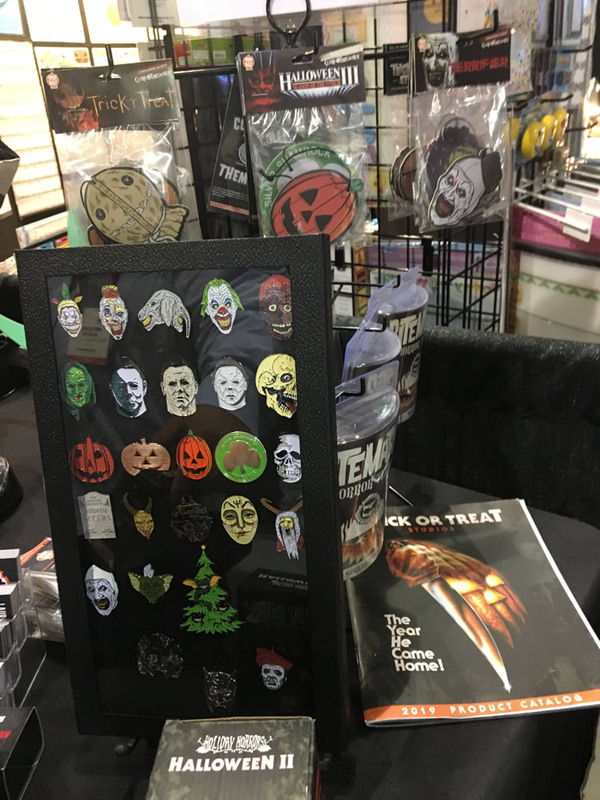 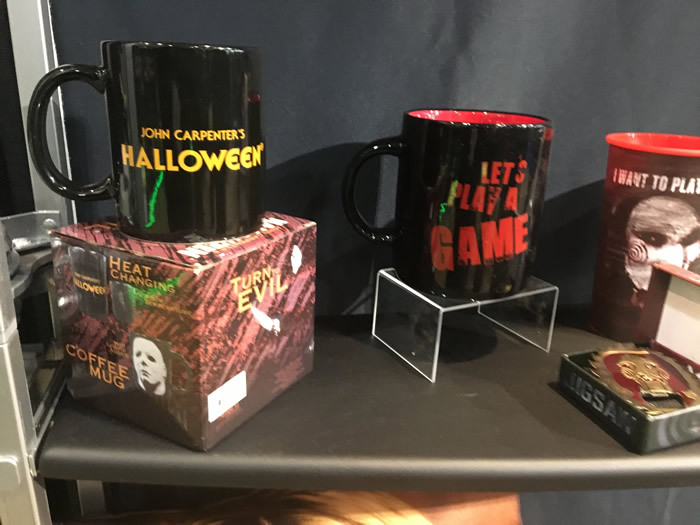 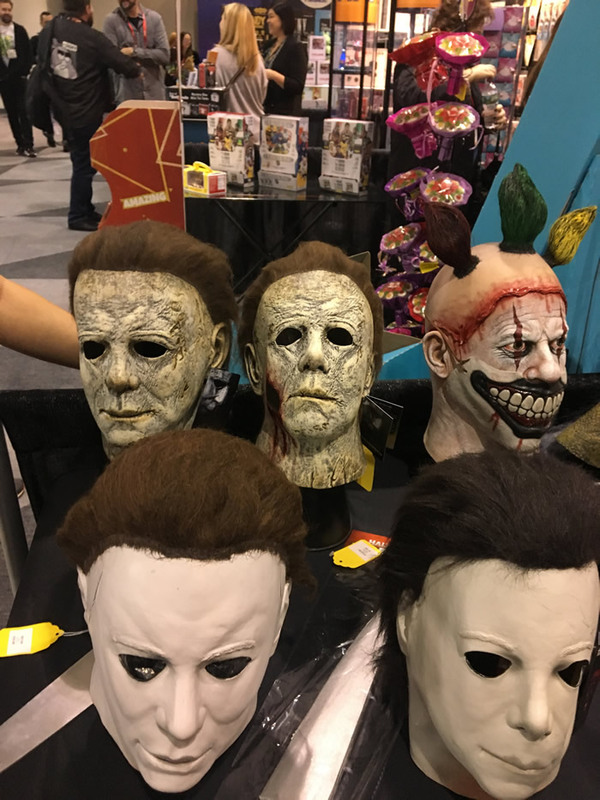 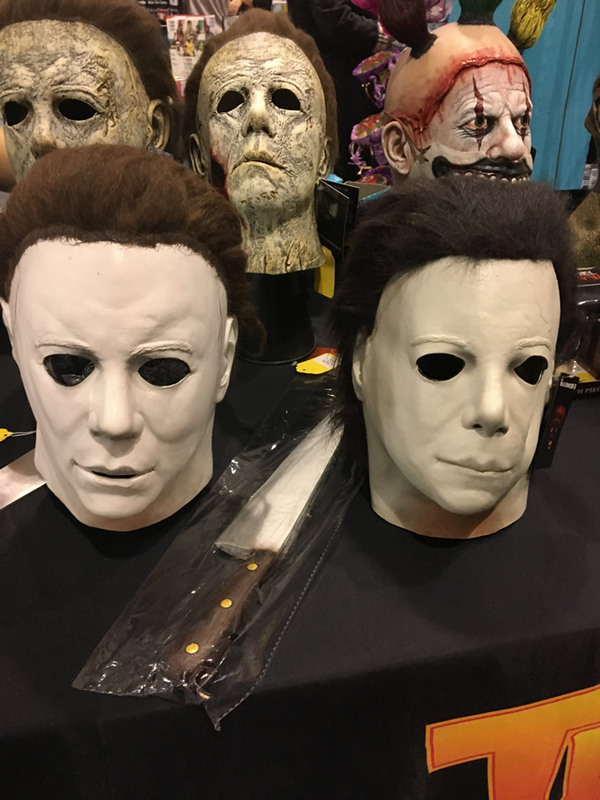 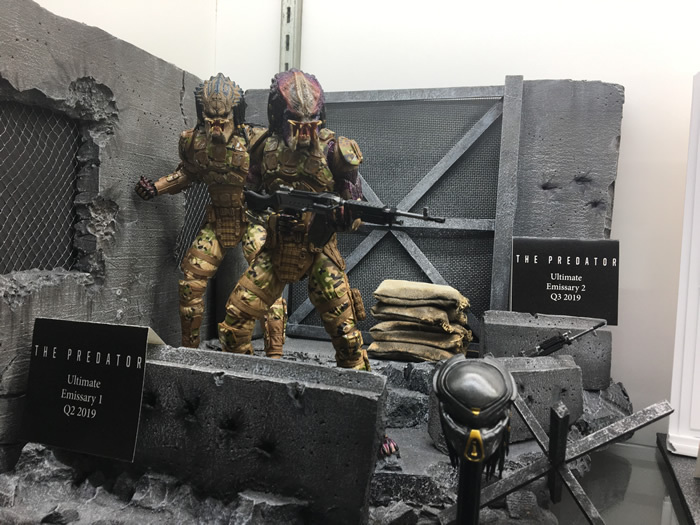 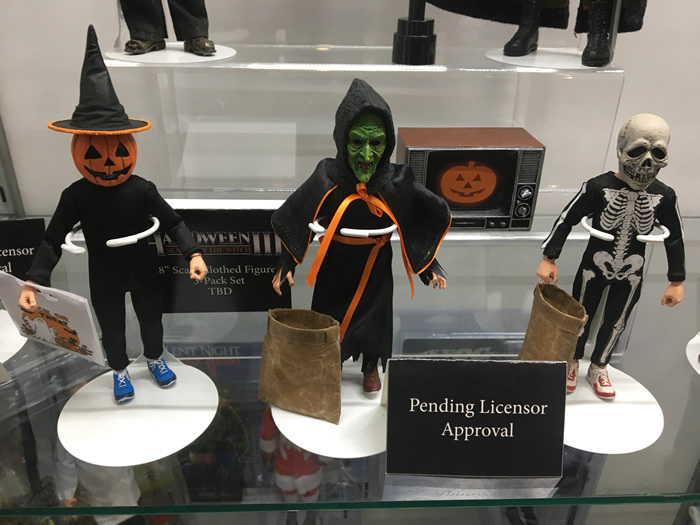 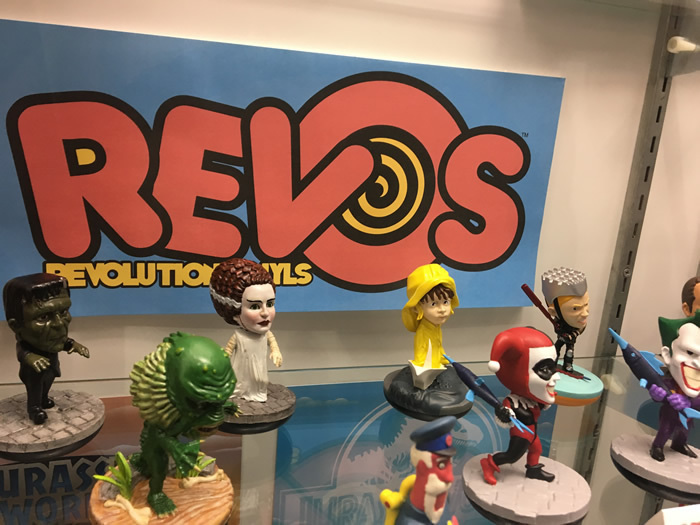 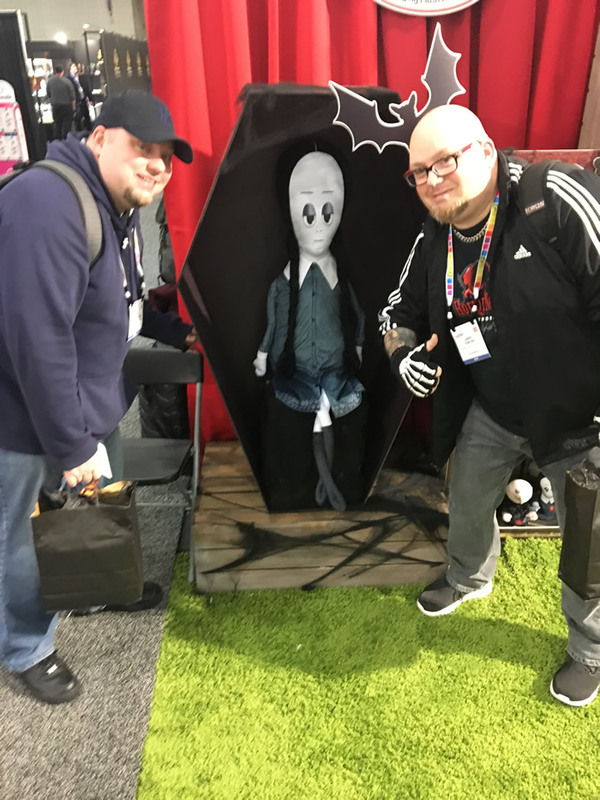 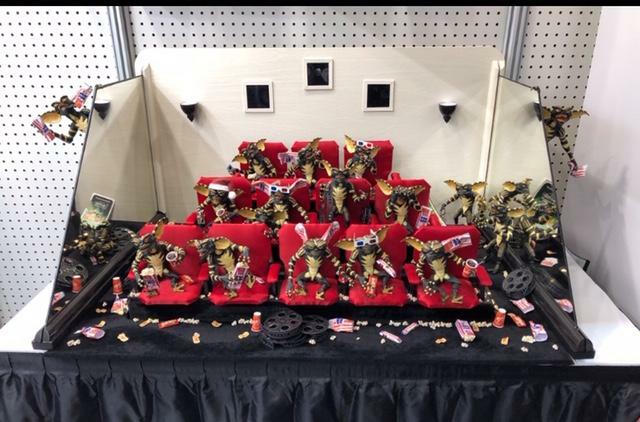 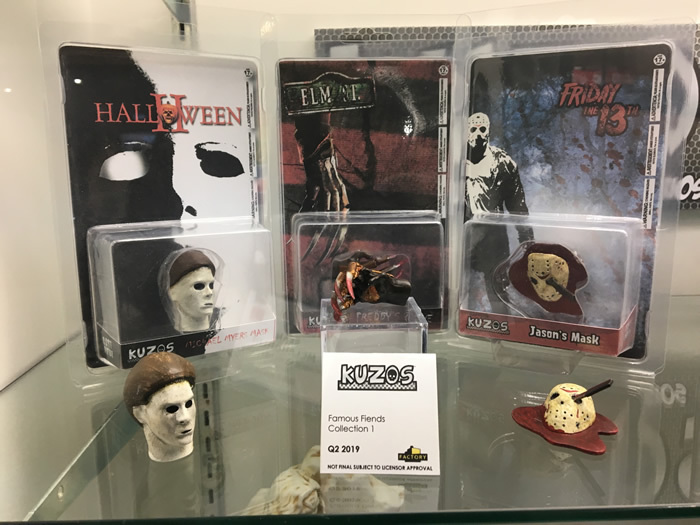 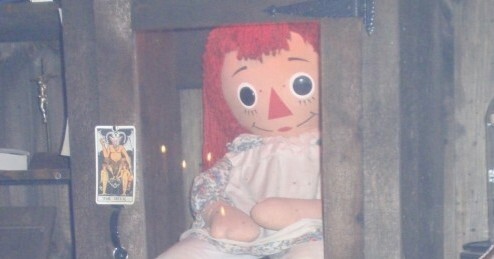 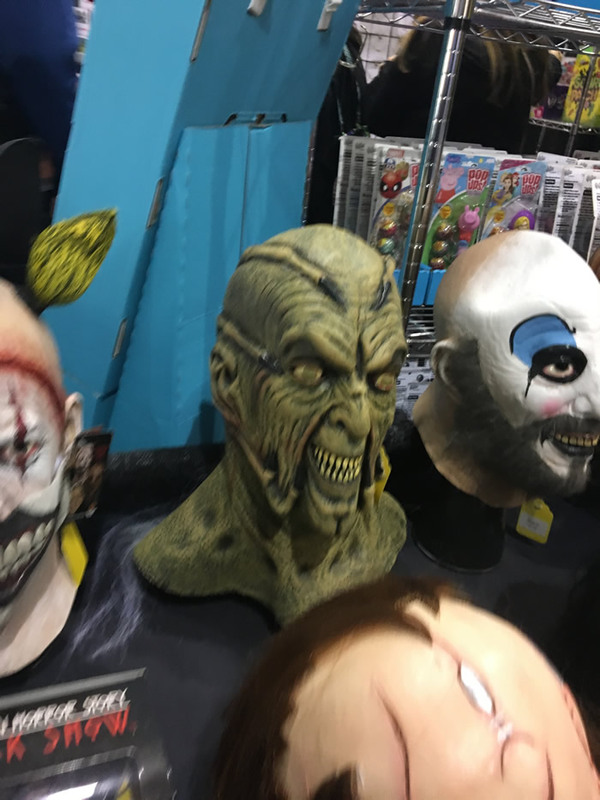 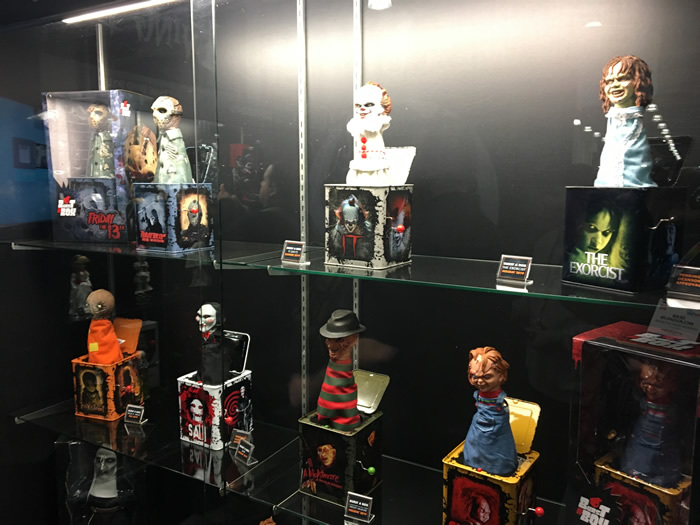 Here is the review of what the more horror-friendly companies were displaying in their booths, and what you can expect to start emptying your wallet for in the very near future! 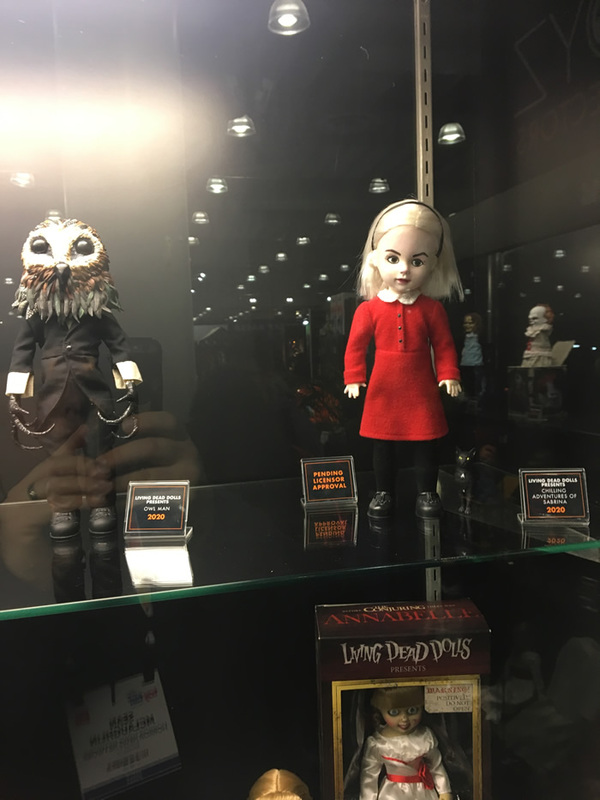 The Shining Living Dead Dolls (Grady Twins and Jack Torrance) were on display for the first time. 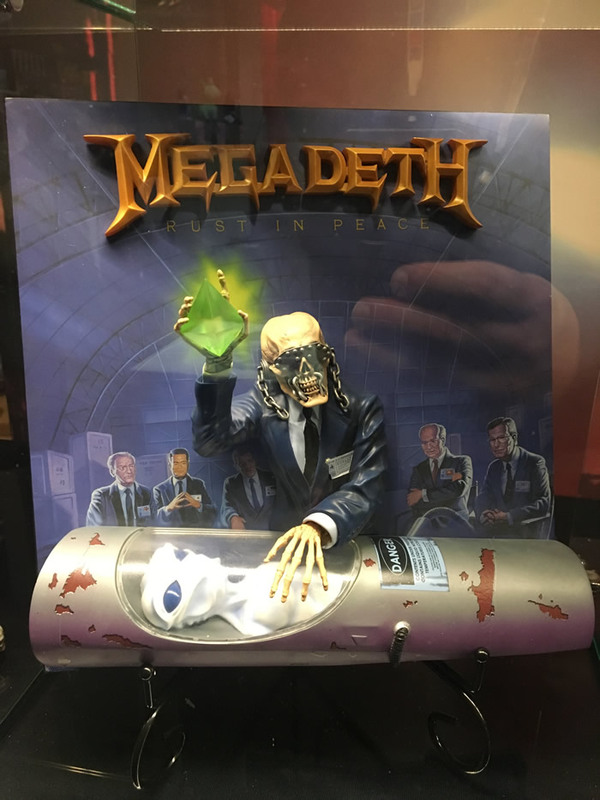 Rock and heavy metal bands are dominating the releases! 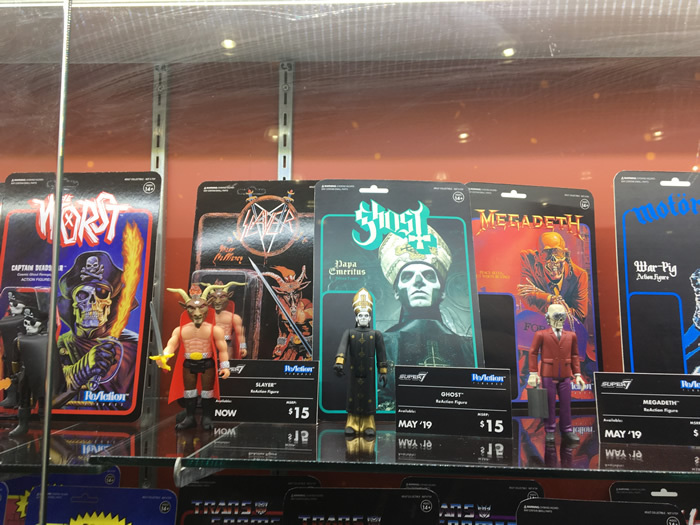 Ghost, Ozzy, Slayer, Motorhead and new variations of the Misfits are all set for wide releases. 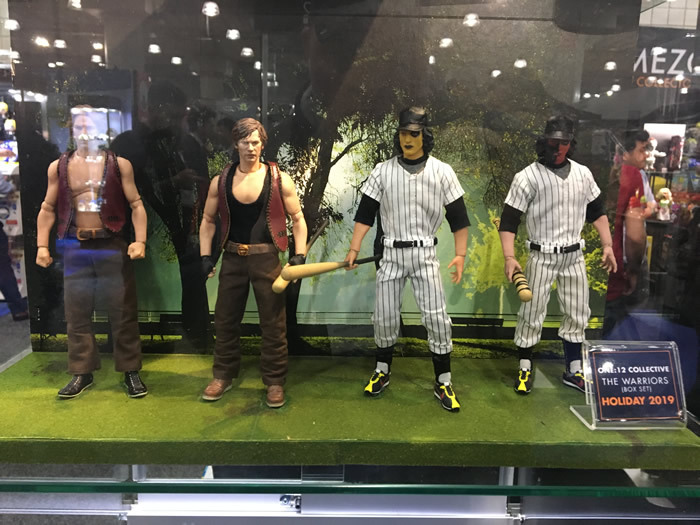 While not horror, the baseball legends and huge new line of Masters of the Universe are incredible. 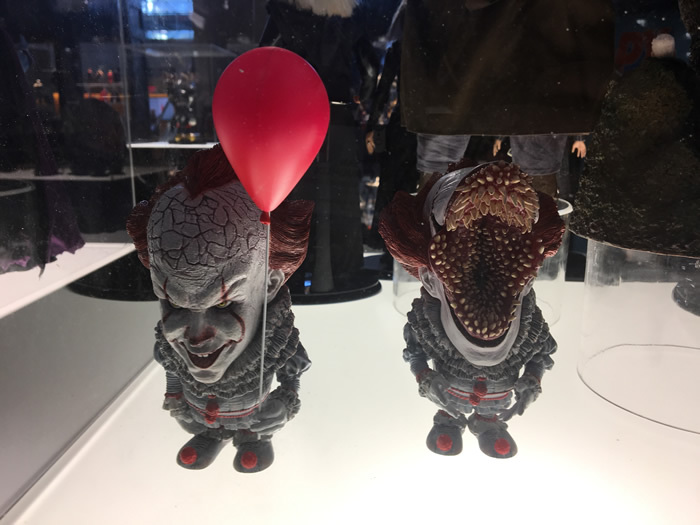 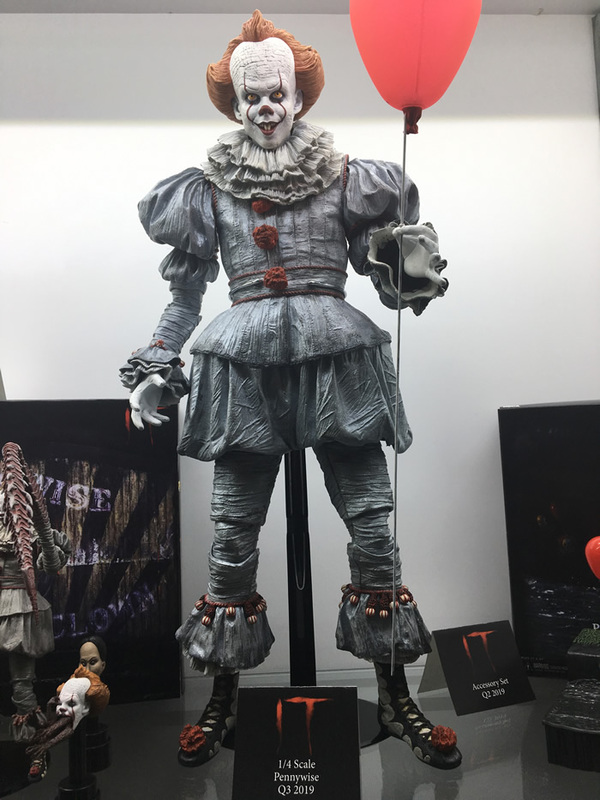 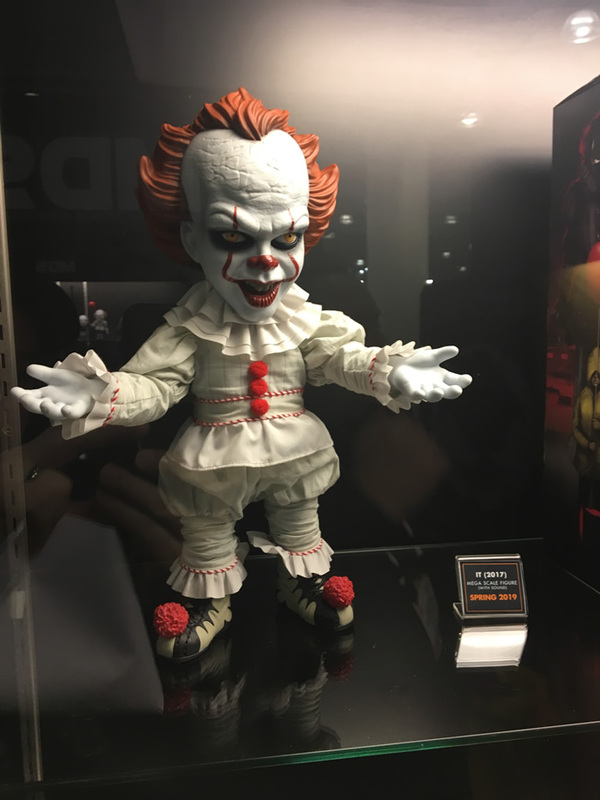 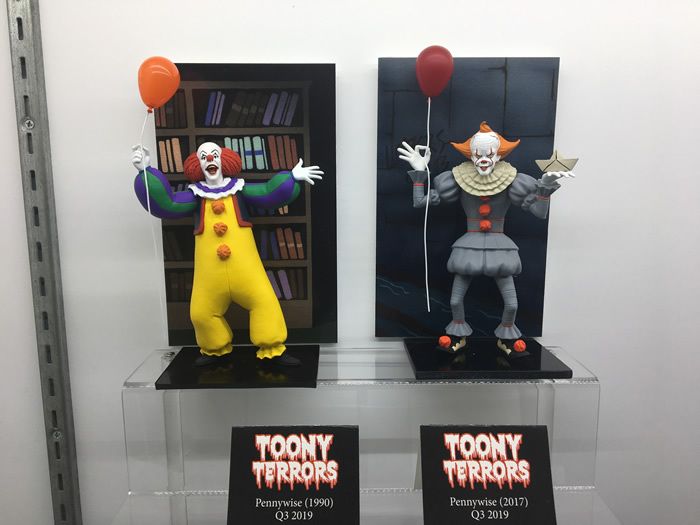 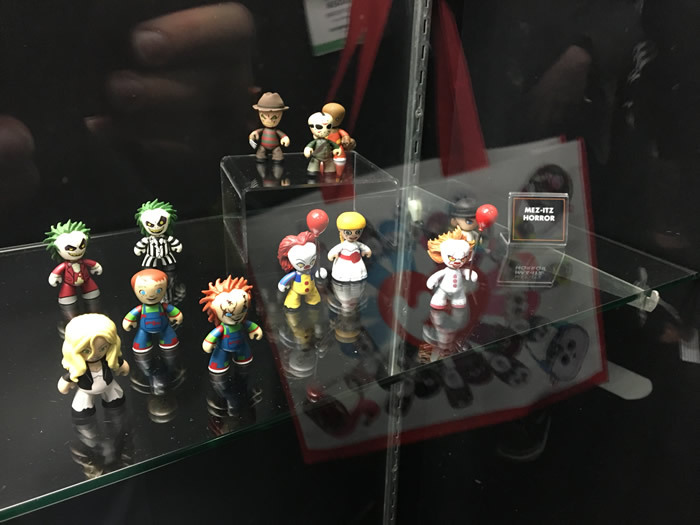 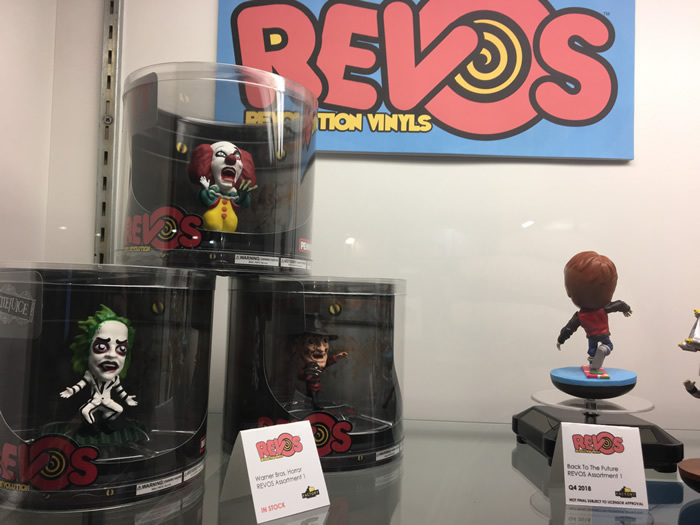 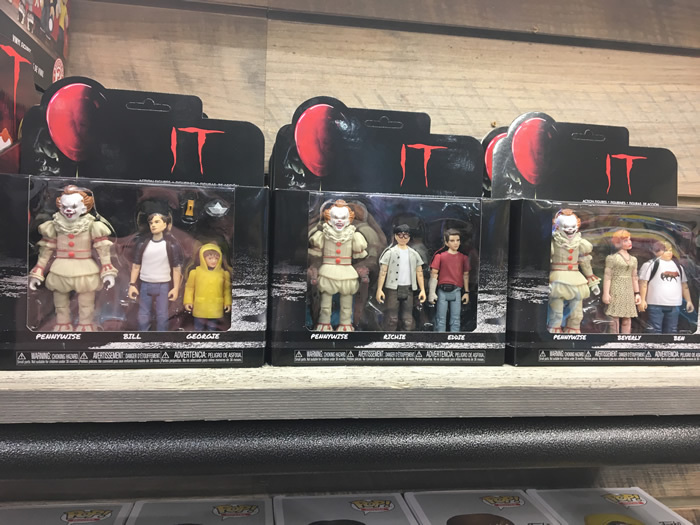 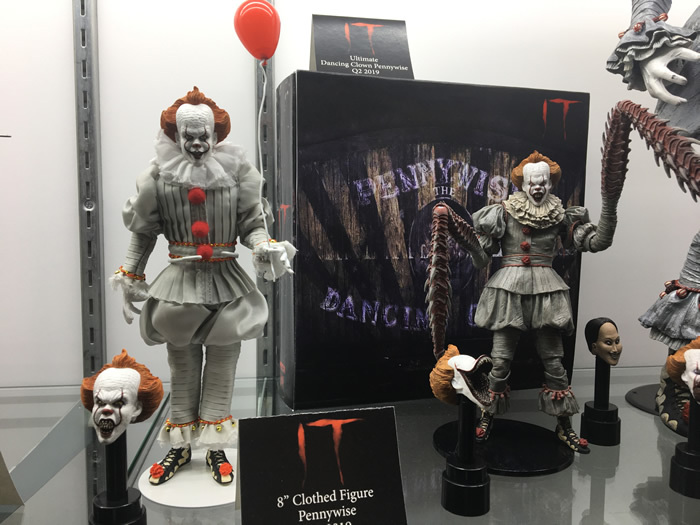 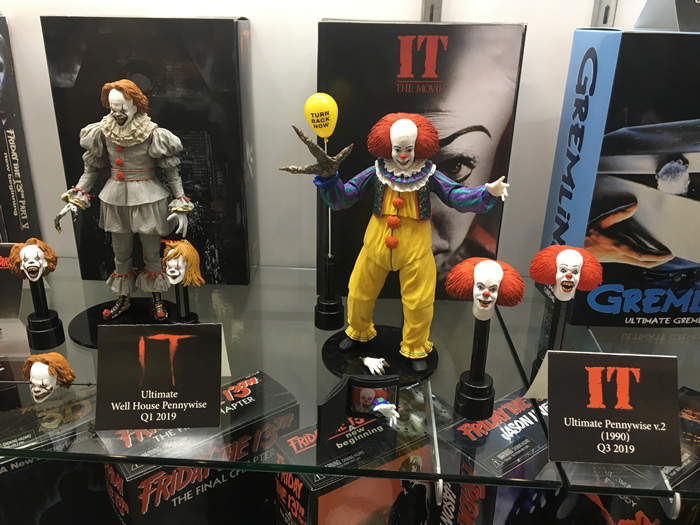 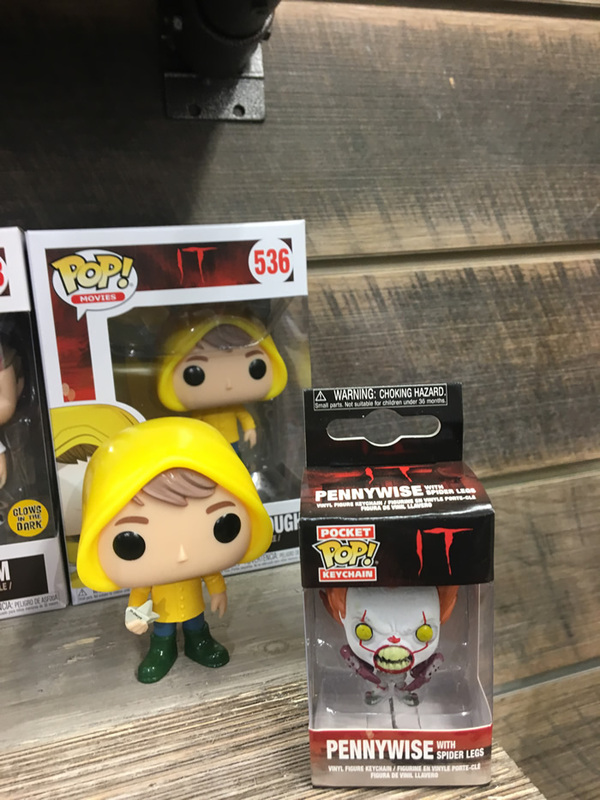 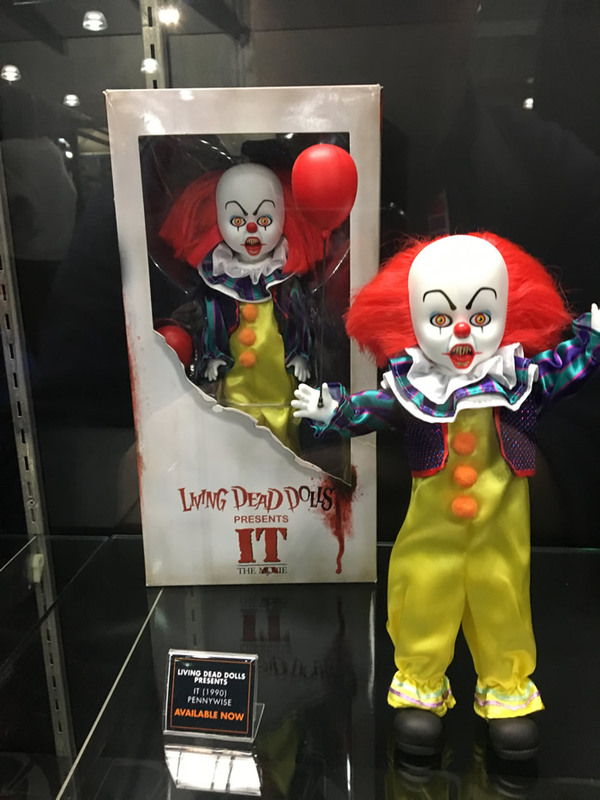 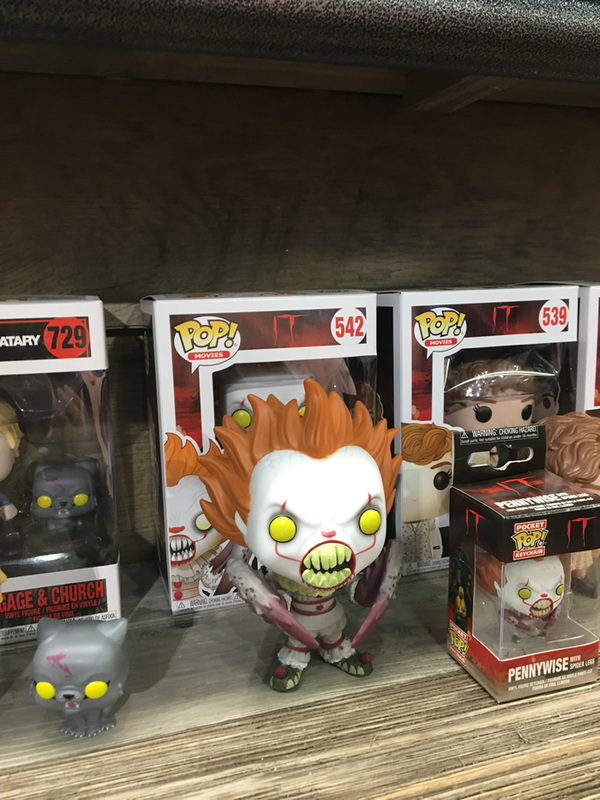 Numerous versions of the 1990 and 2017 Pennywise character are on full display….even the doll version of the 1990 clown from the 2017 movie! 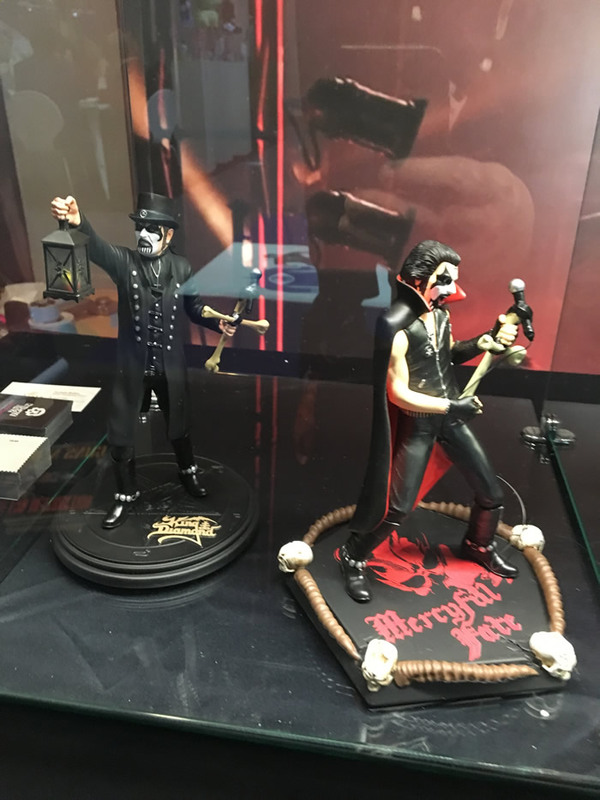 Owner/creator/legend Todd McFarlane and DMC were in the booth! 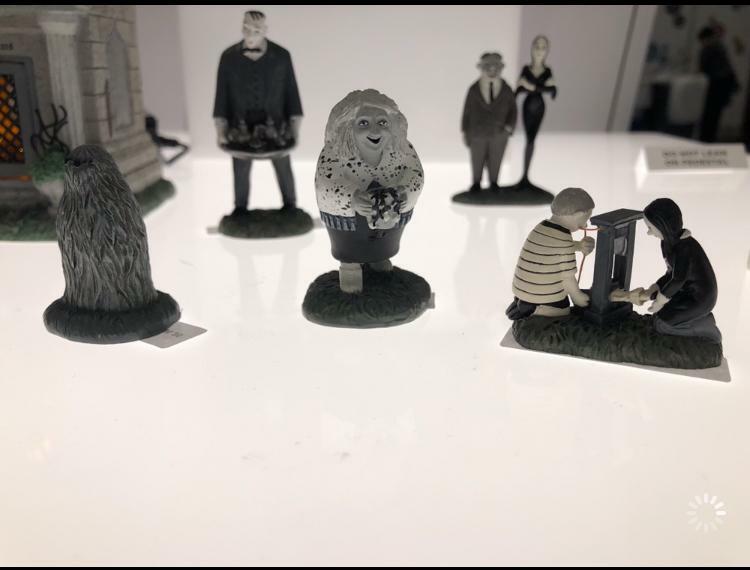 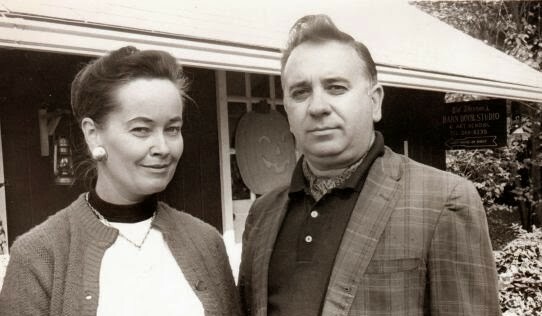 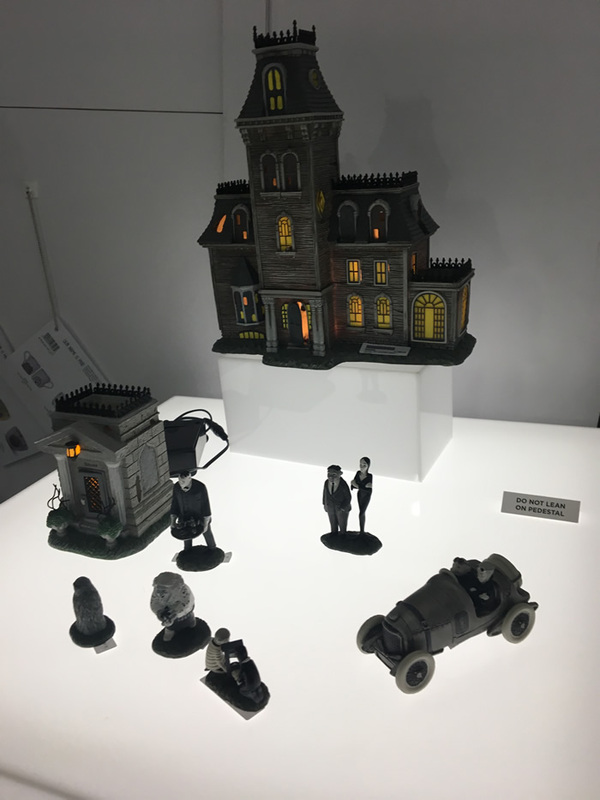 Horror fans should check out their Nightmare Before Christmas and Addams Family sets. 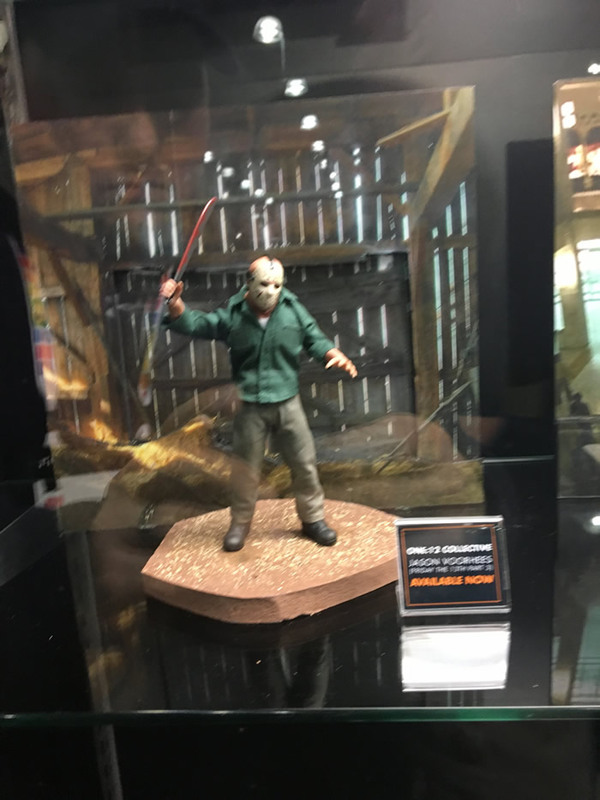 Incredibly detailed and collectible. 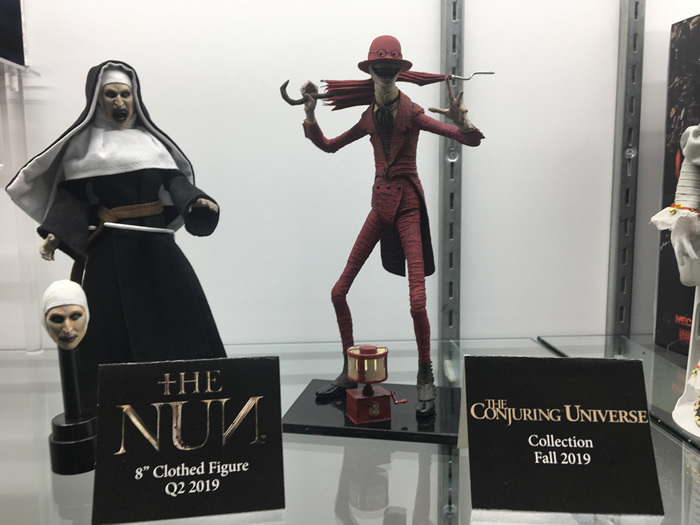 Check out our Facebook Live video on the HNN Facebook page for more! 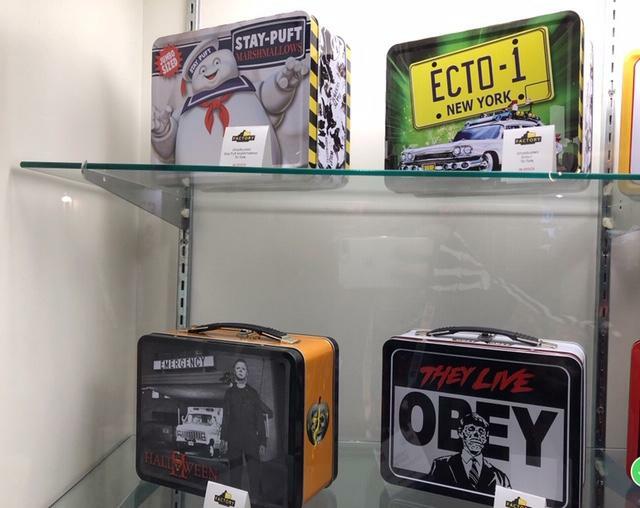 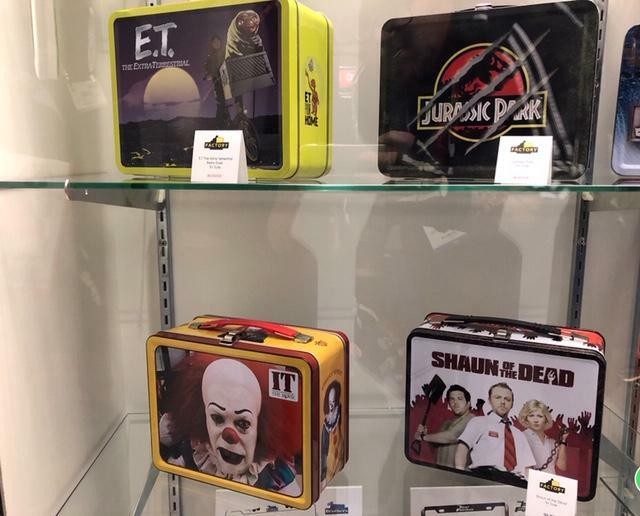 Horror fans will appreciate their lines of metal lunch boxes, rings and even cane-toppers! 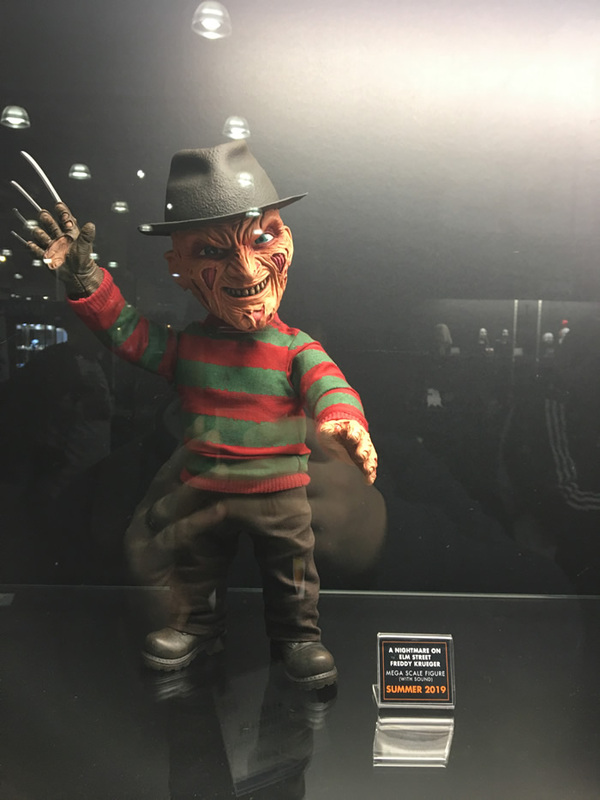 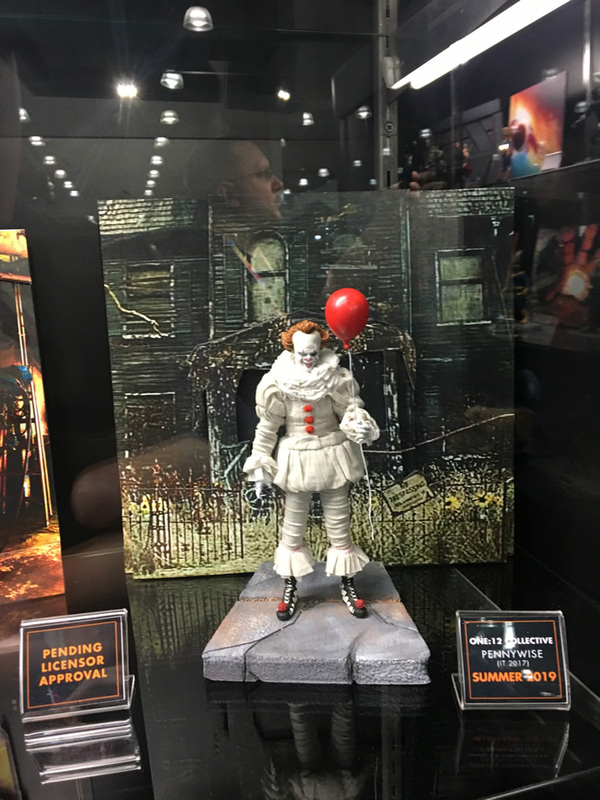 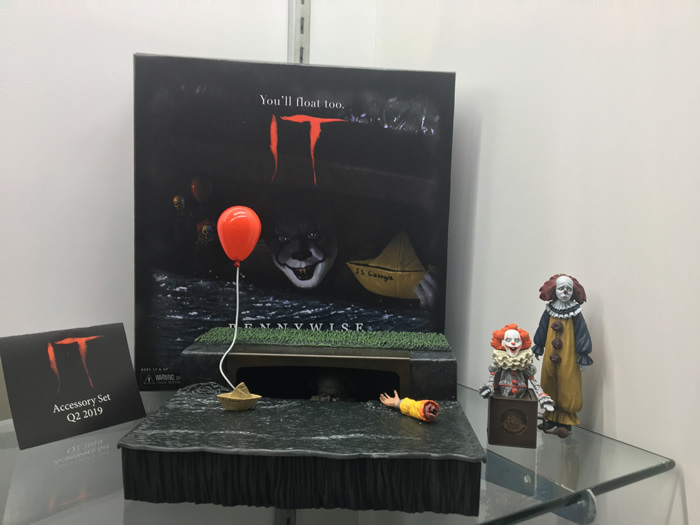 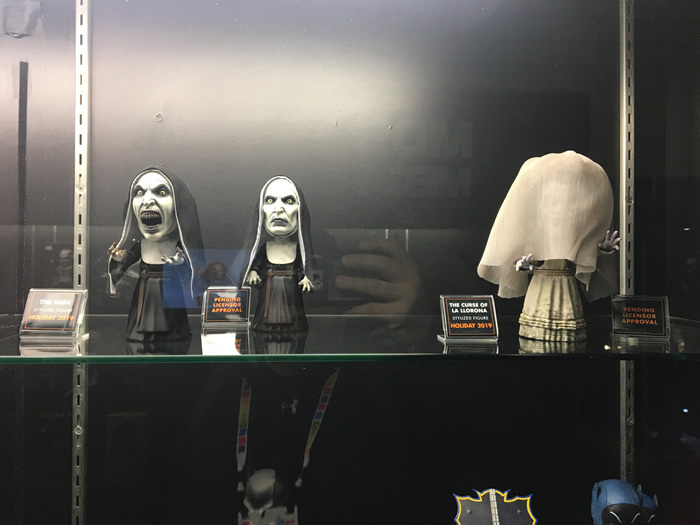 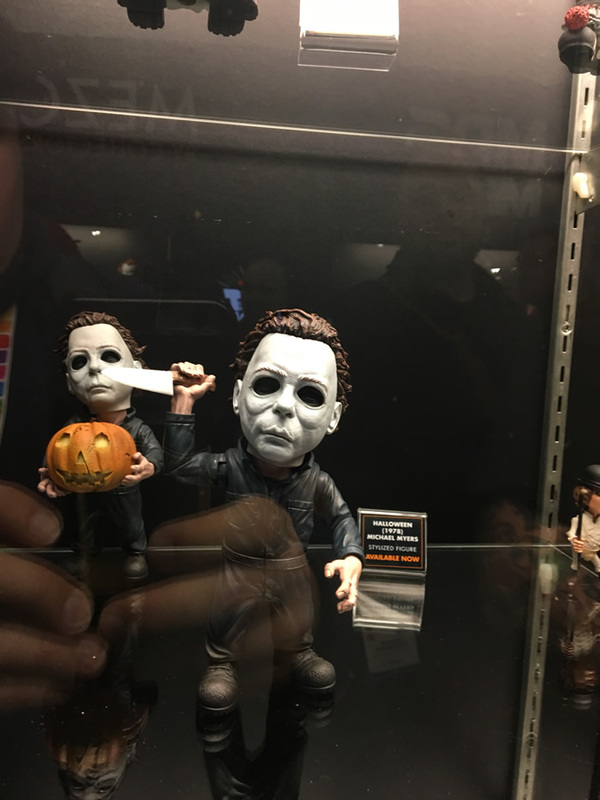 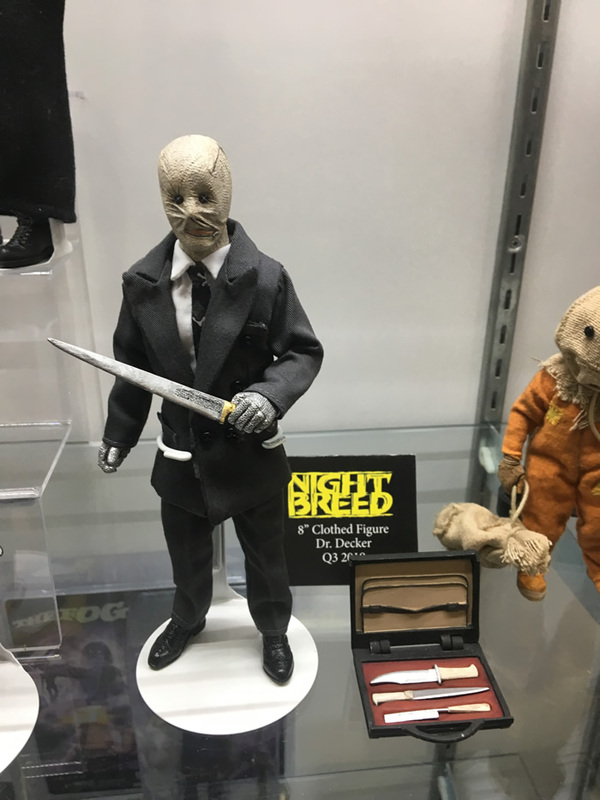 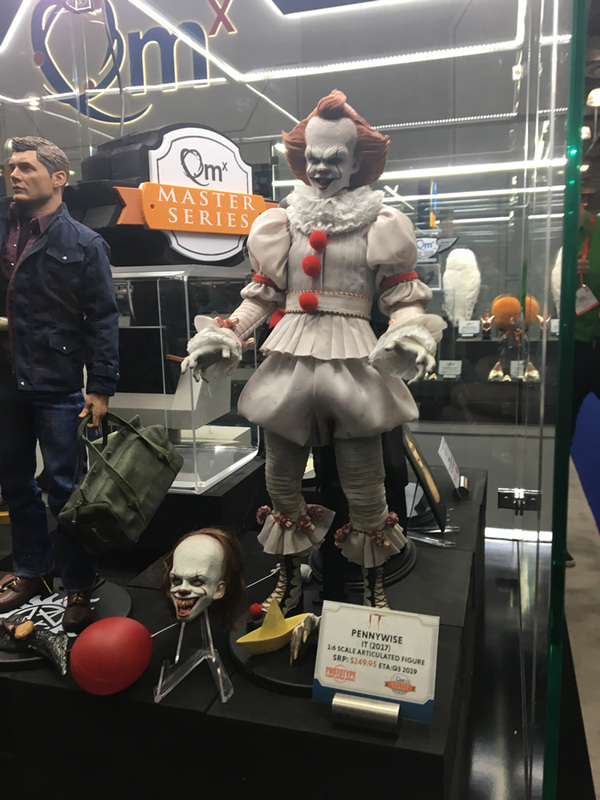 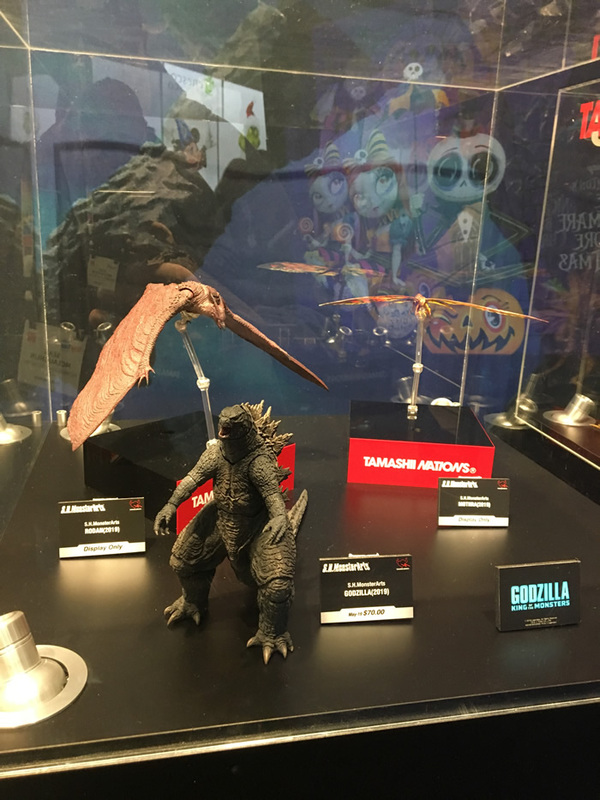 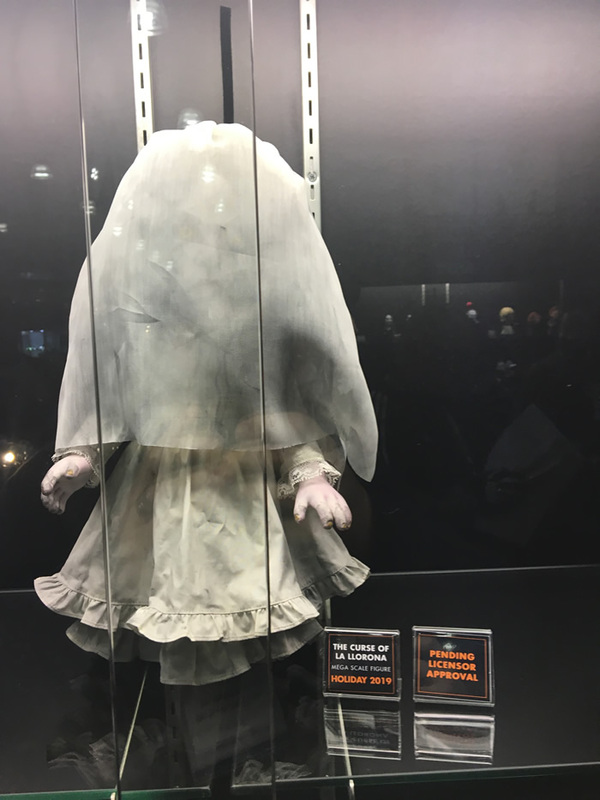 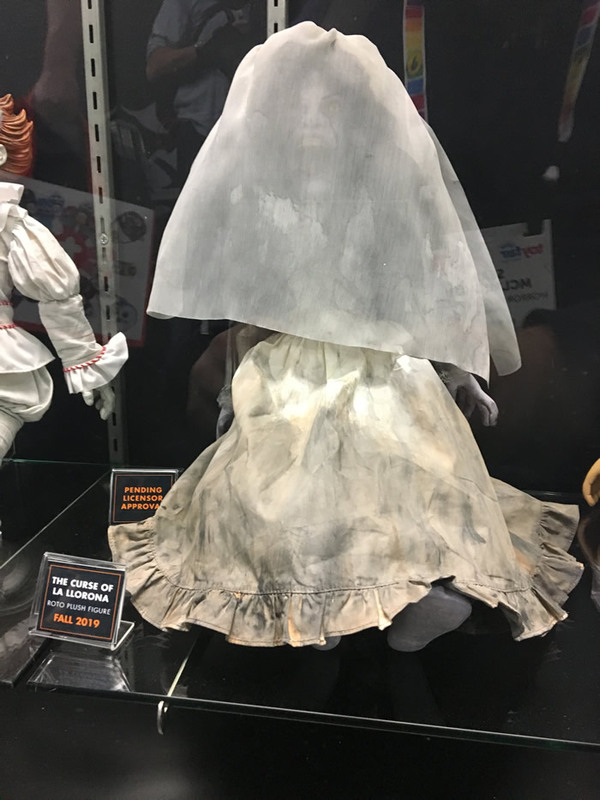 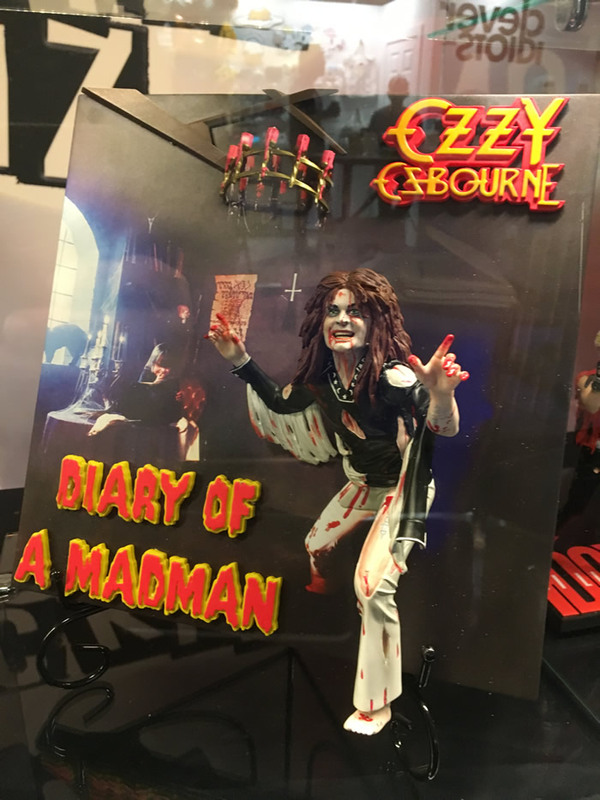 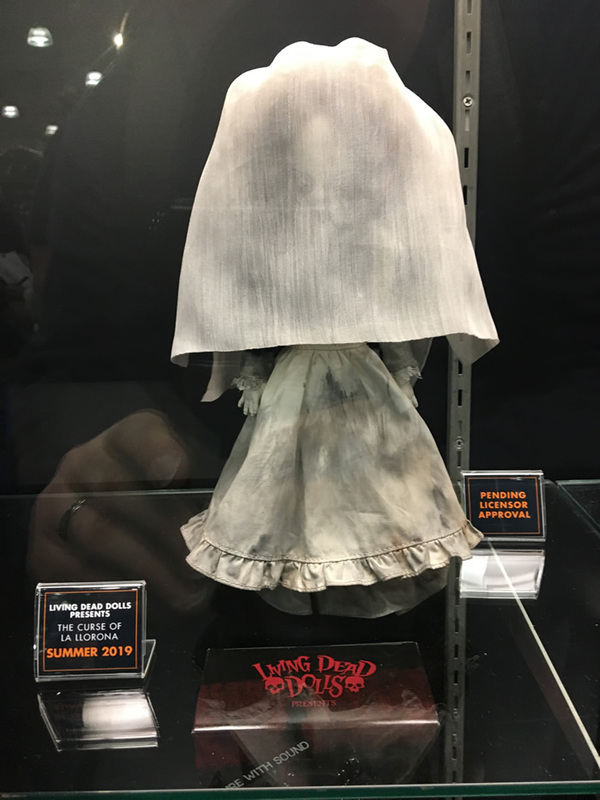 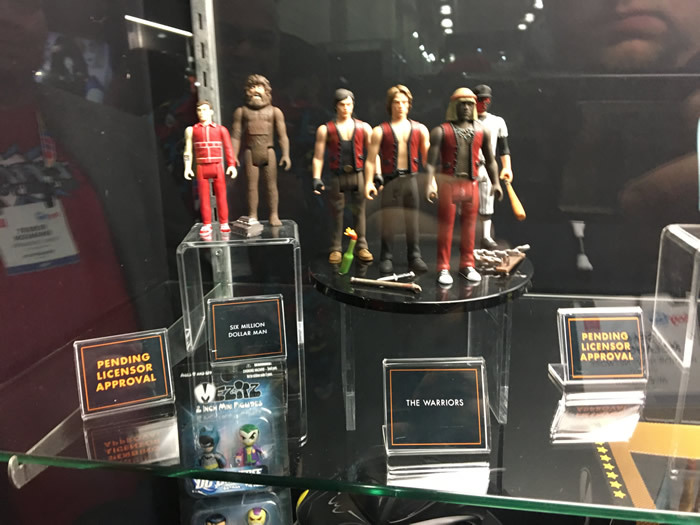 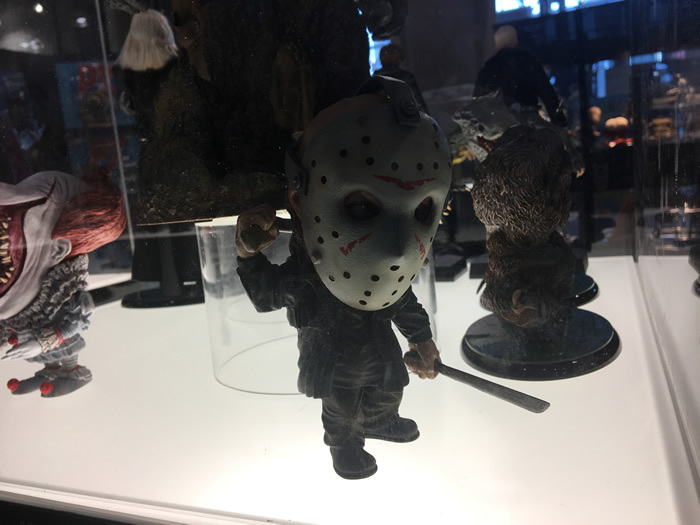 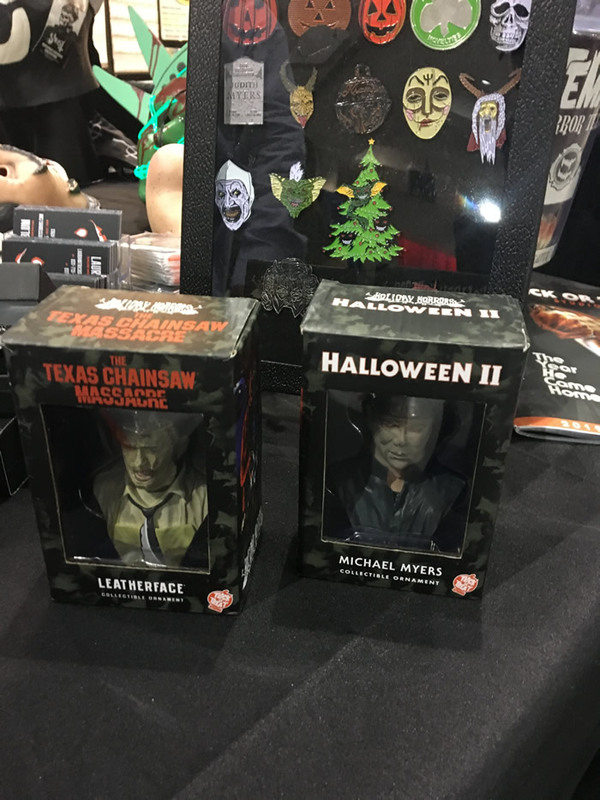 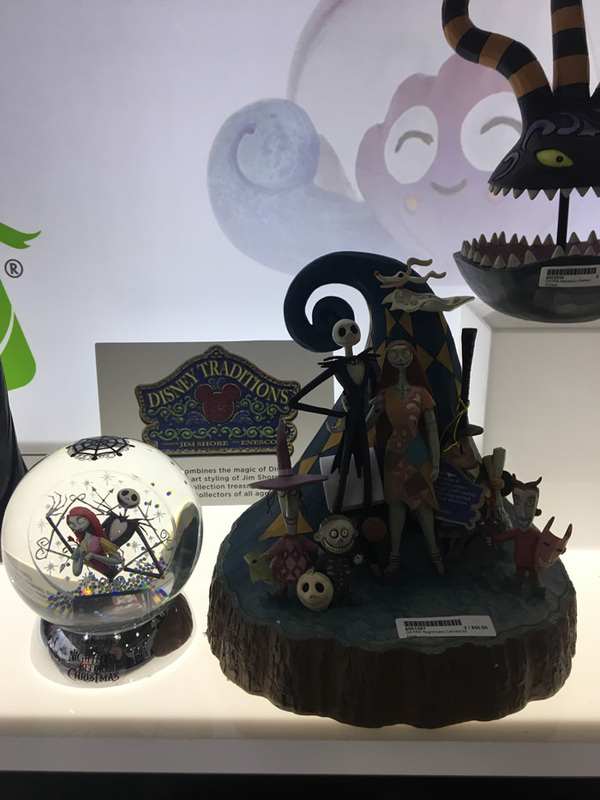 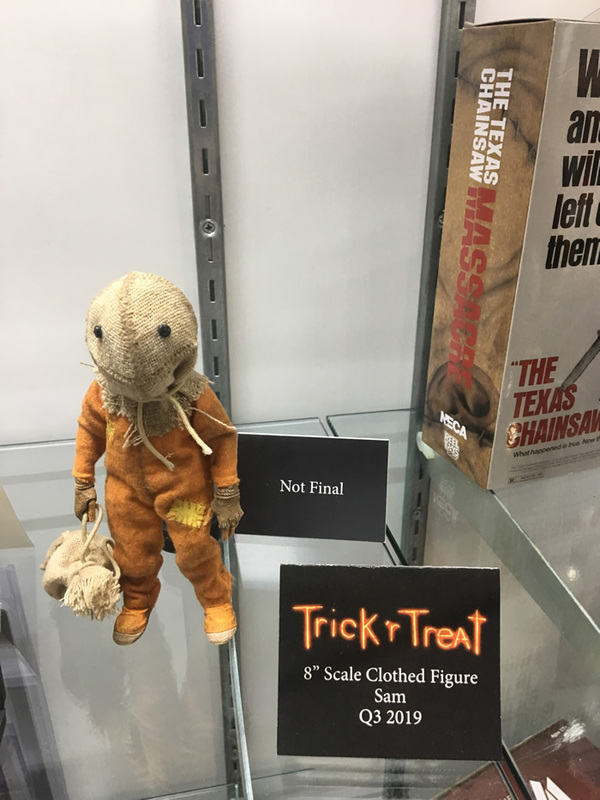 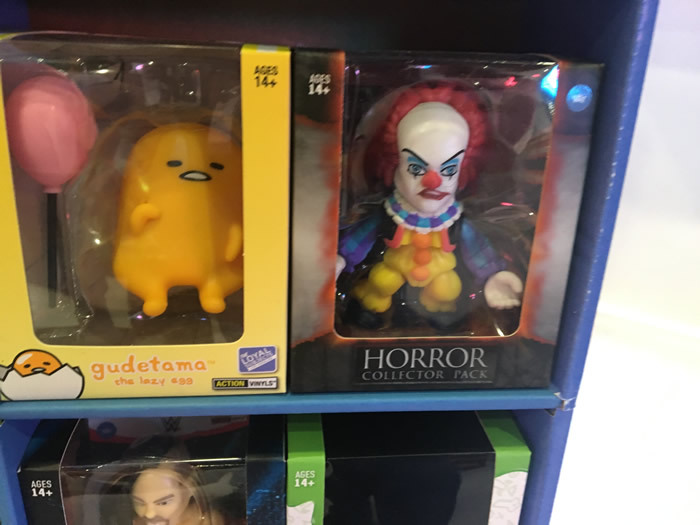 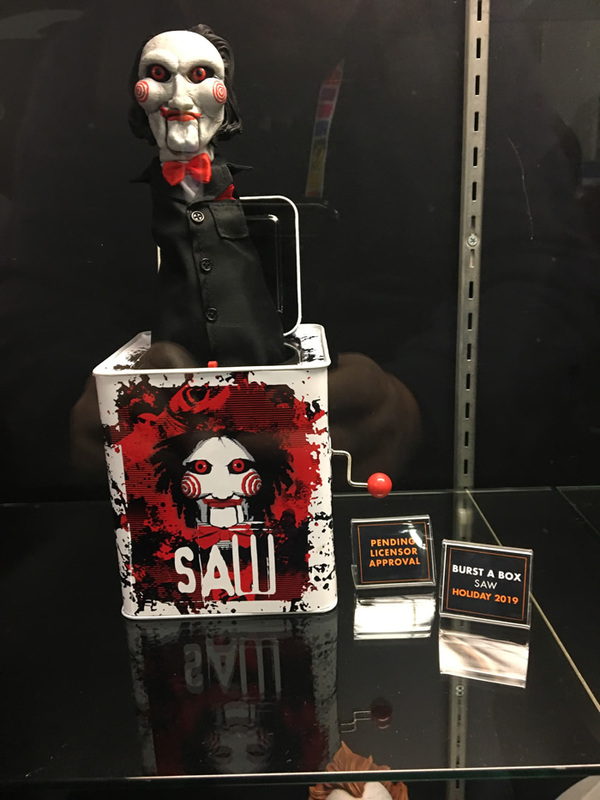 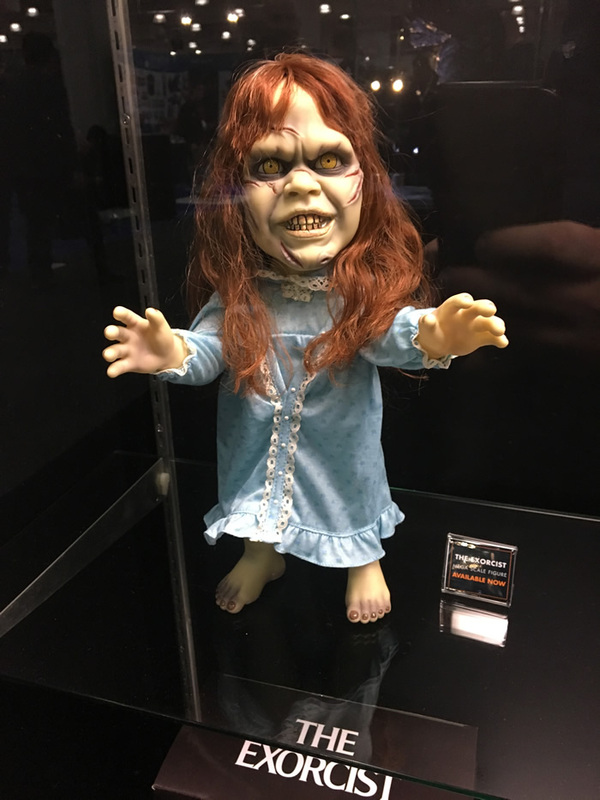 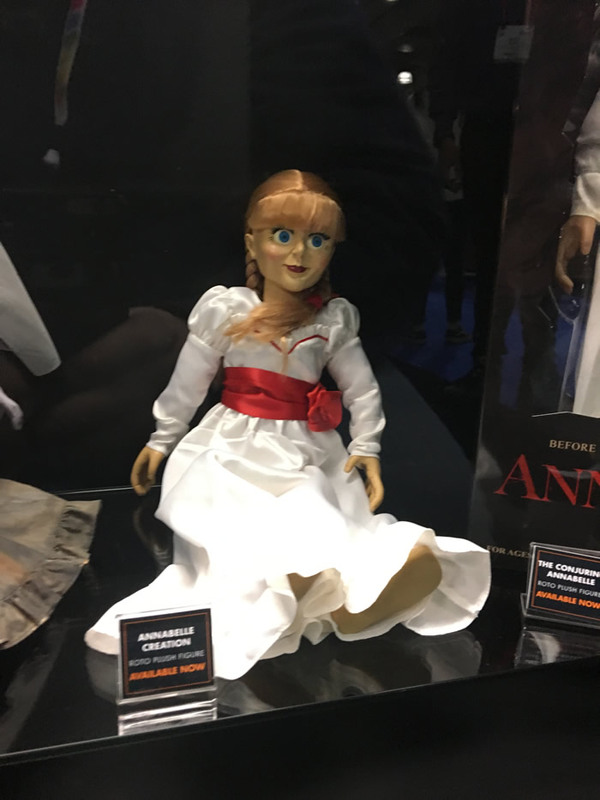 Here are some notable pictures of other cool horror-related toys on display at the 2019 Toy Fair!